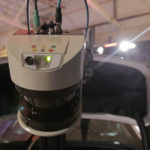 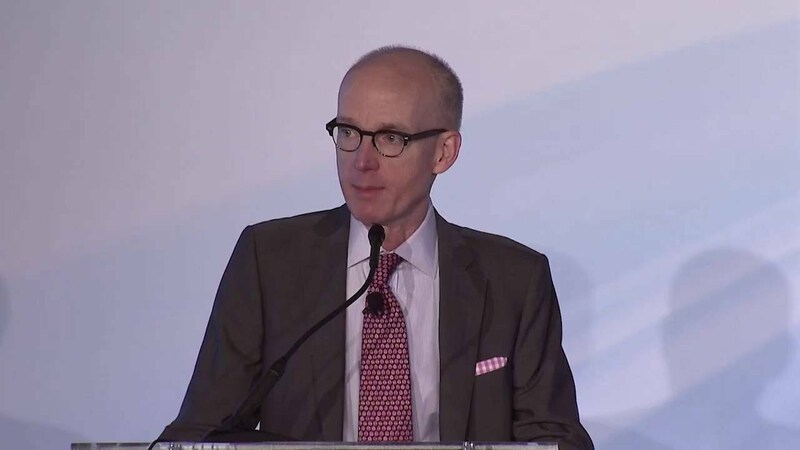 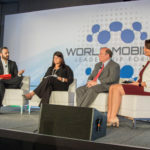 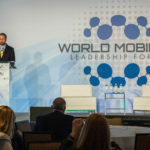 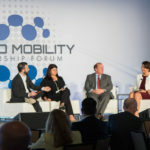 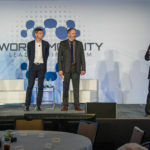 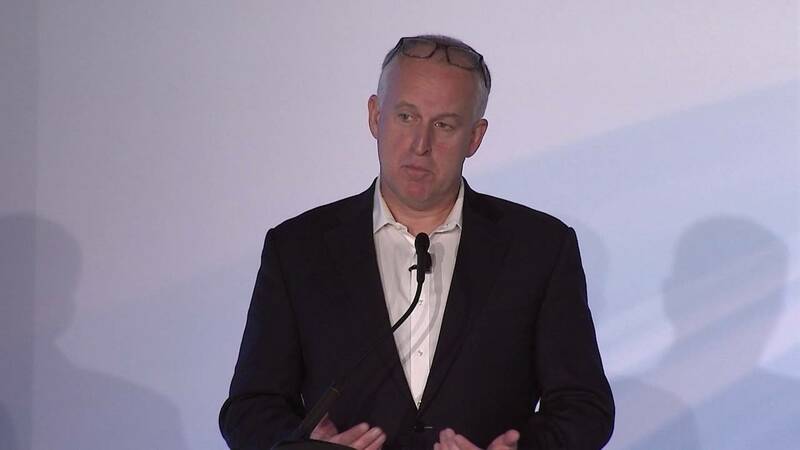 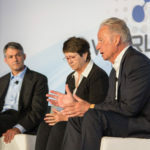 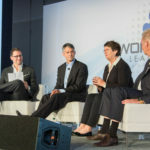 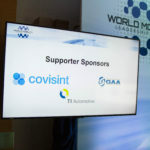 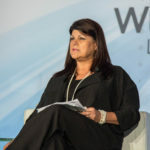 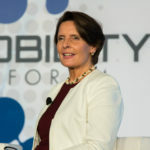 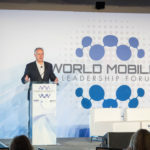 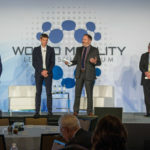 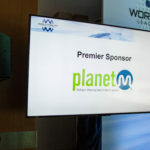 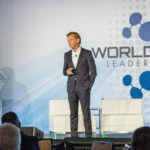 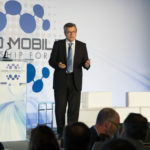 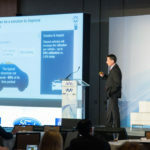 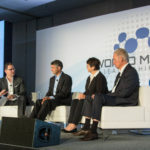 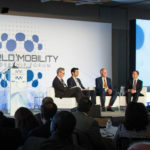 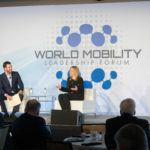 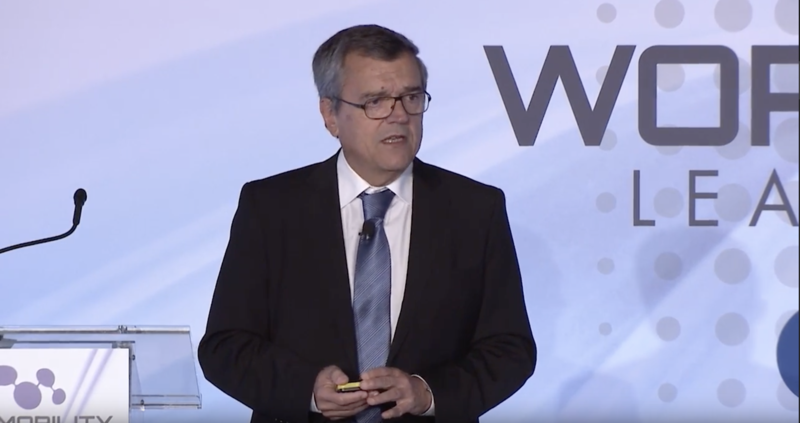 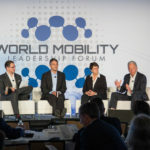 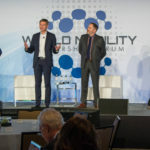 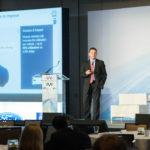 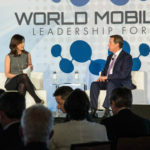 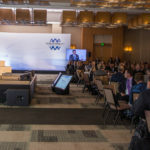 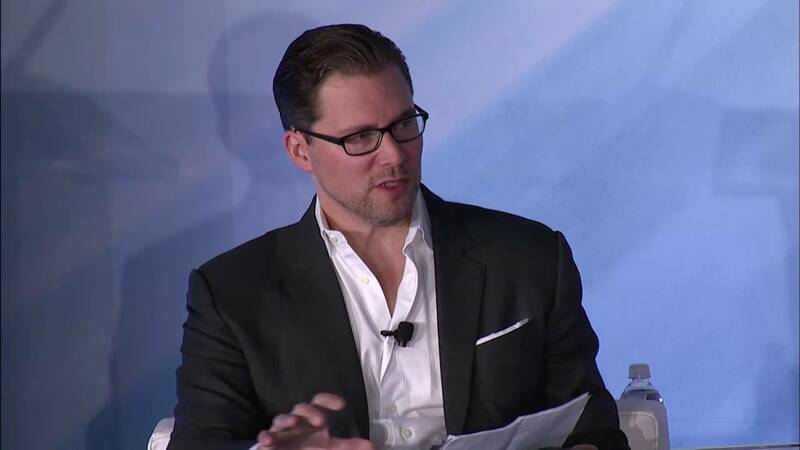 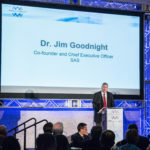 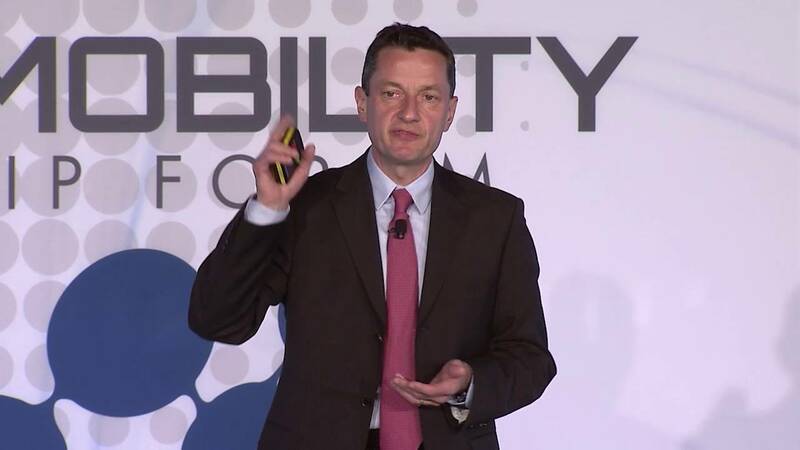 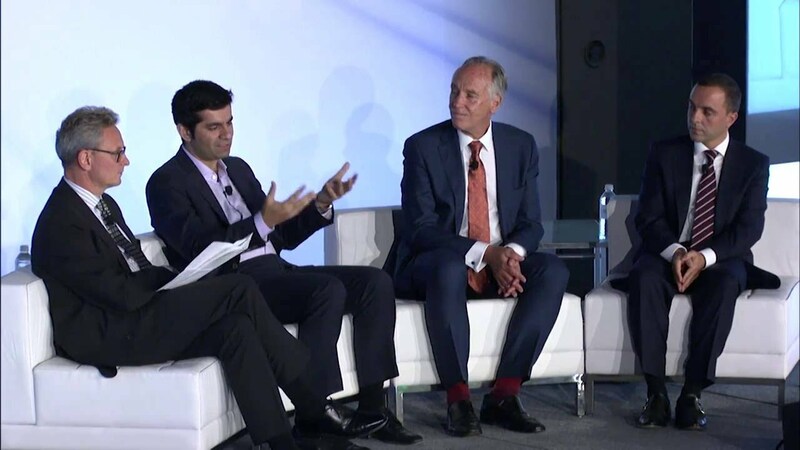 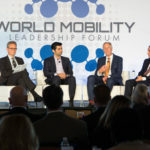 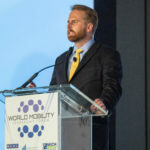 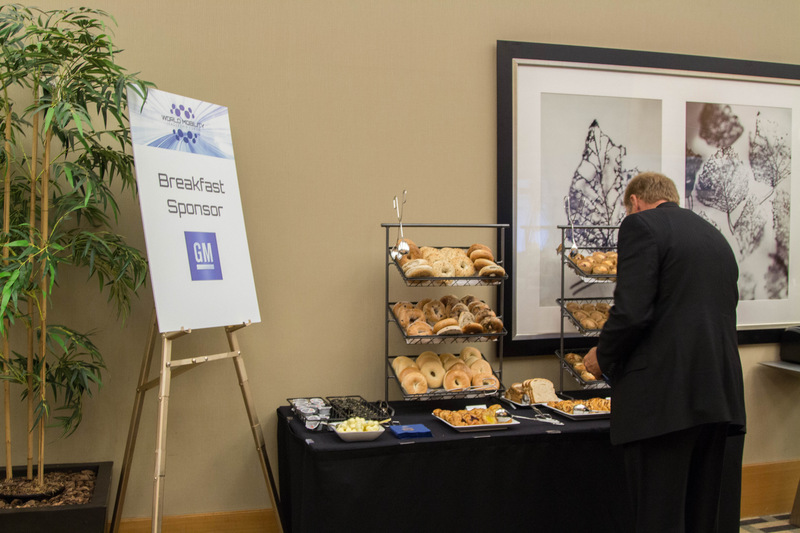 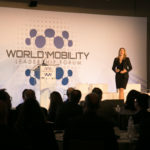 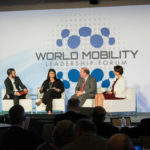 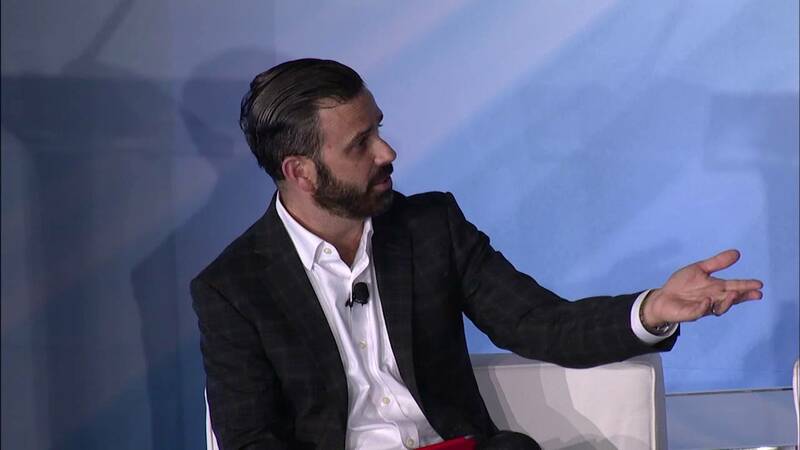 – Moderator: Andreas Mai,Former Director, Smart Connected Vehicles, Cisco Systems, Inc.
– Moderator: KC Crain Jr., EVP & Director of Corporate Operations, Crain Communications Inc. 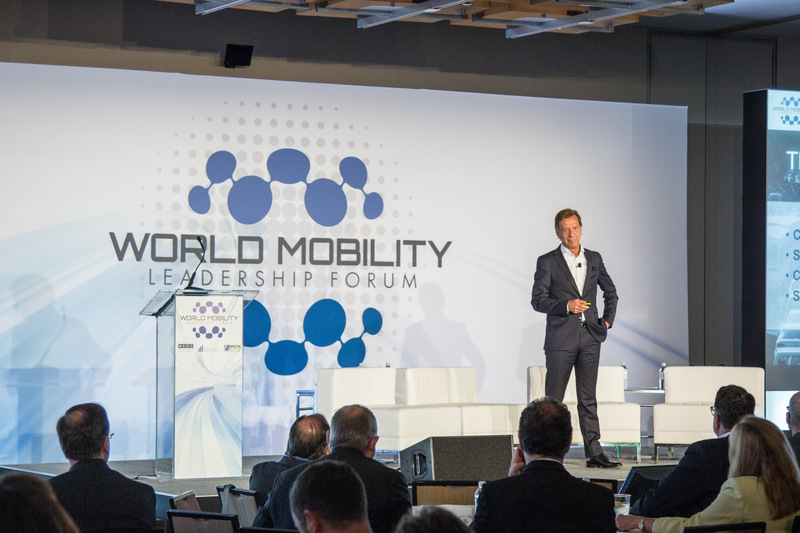 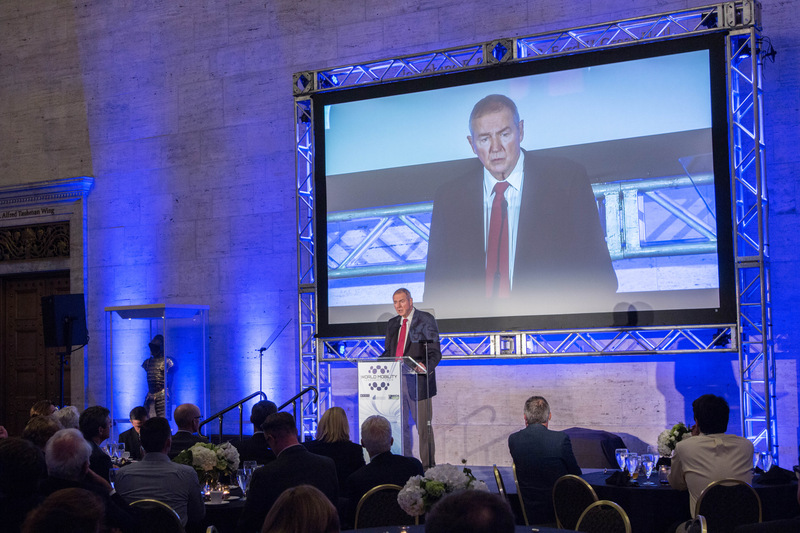 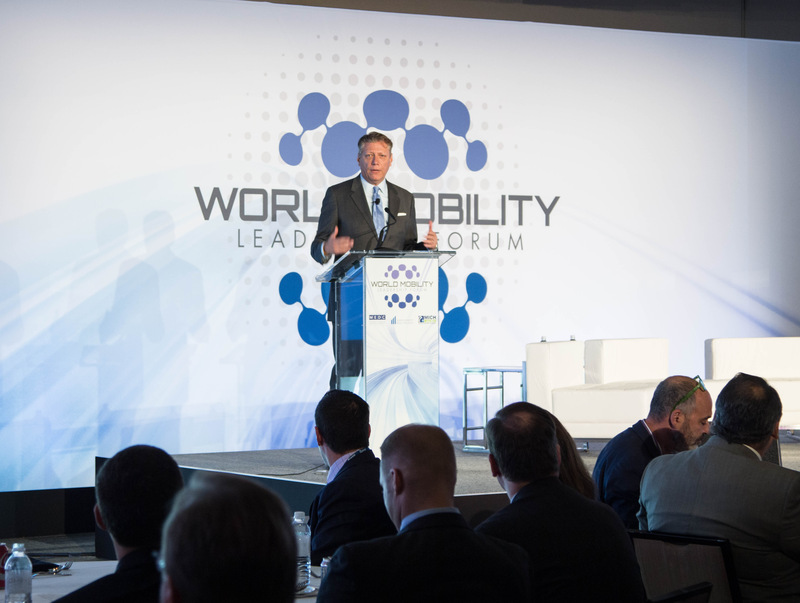 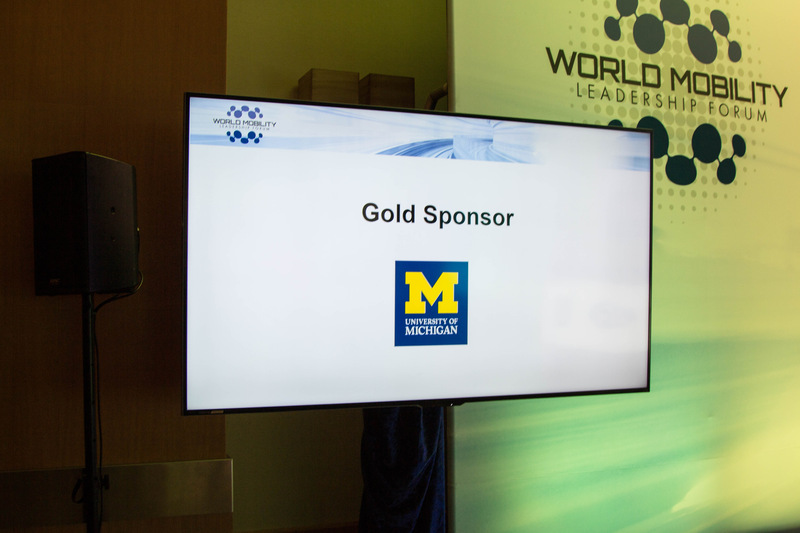 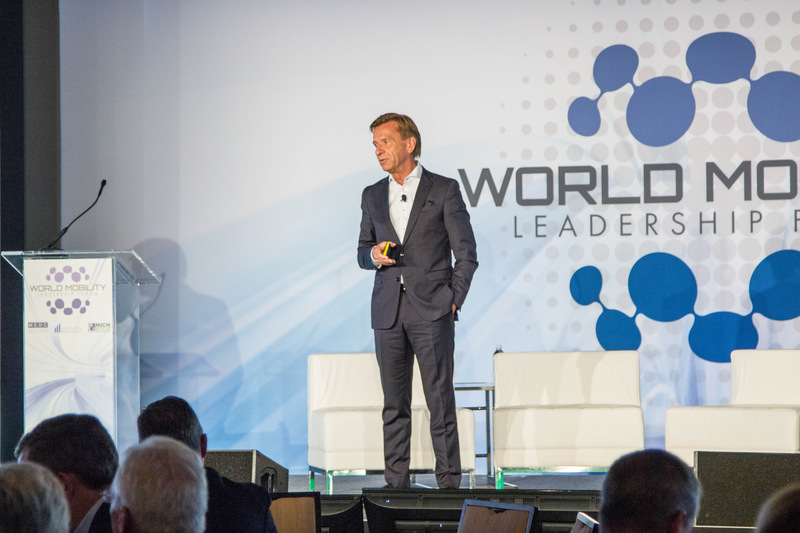 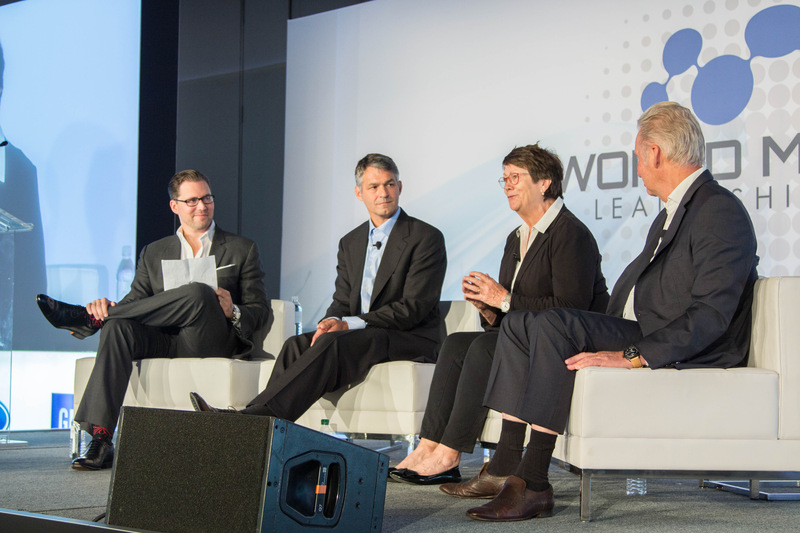 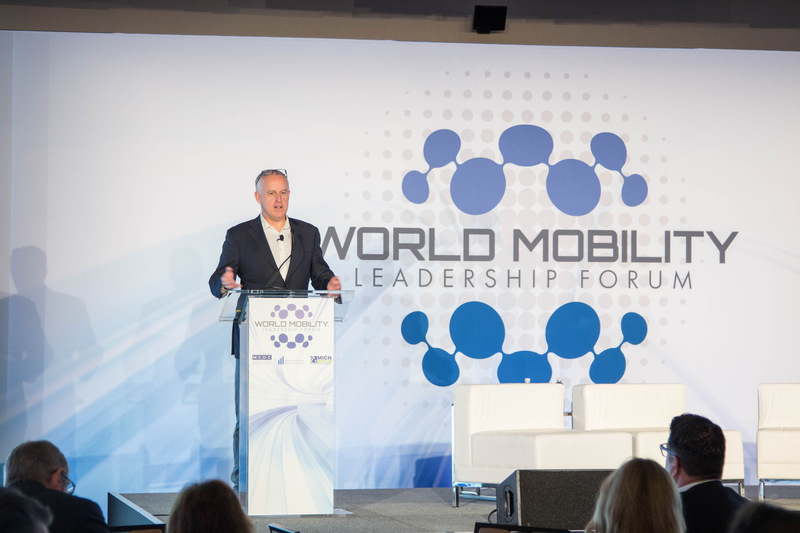 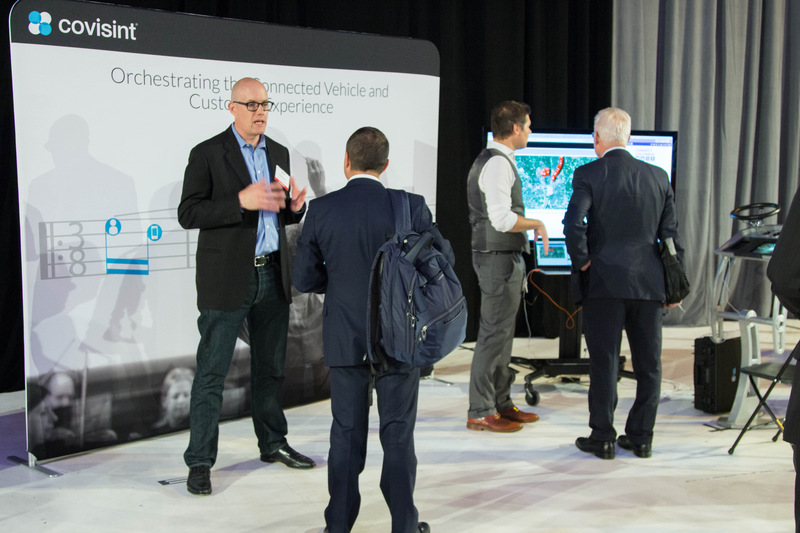 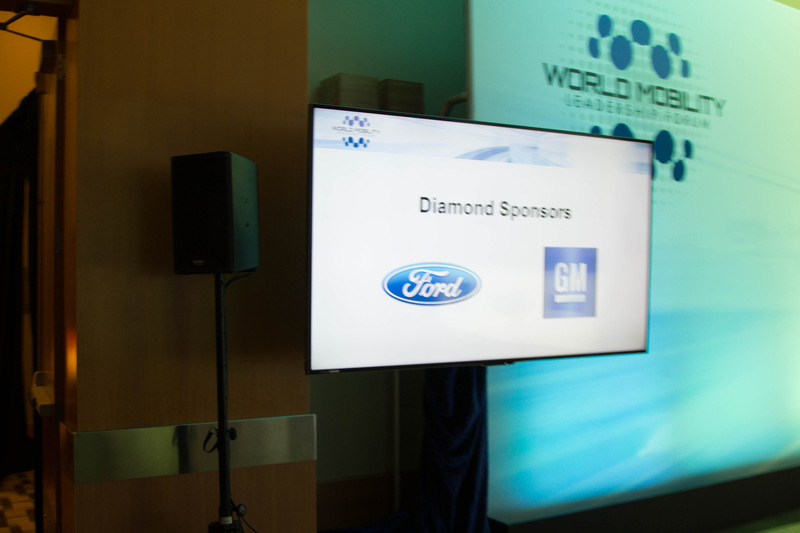 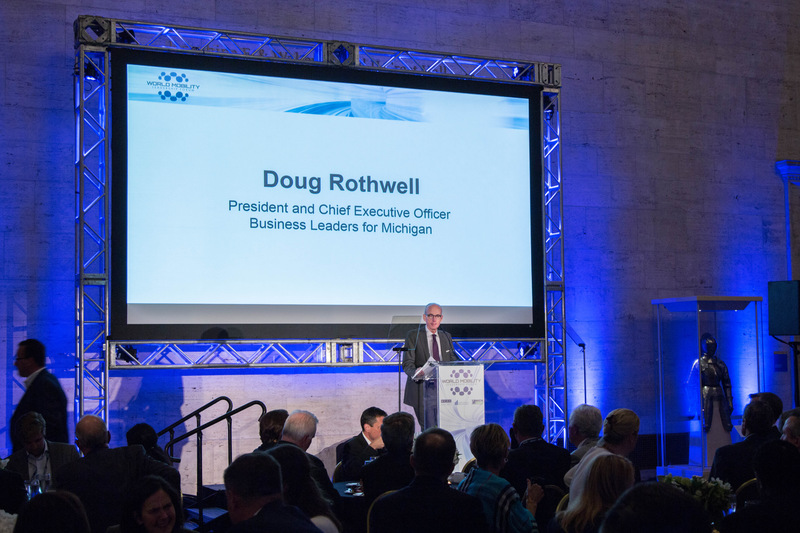 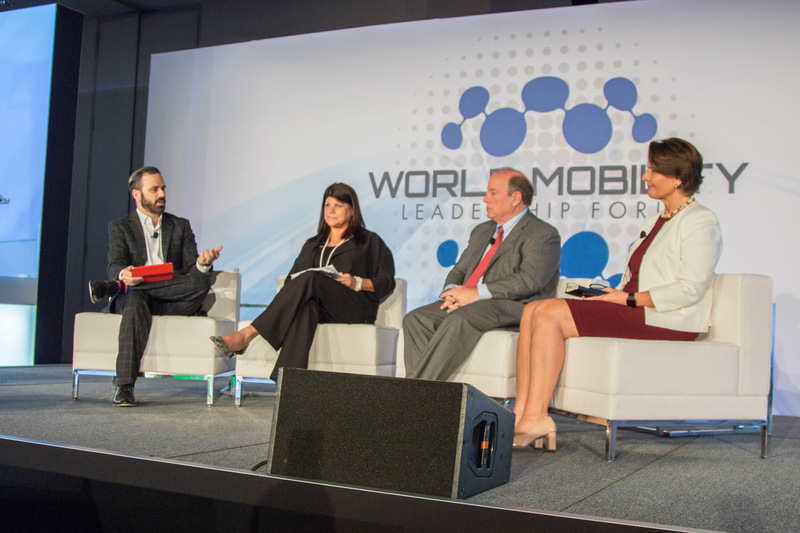 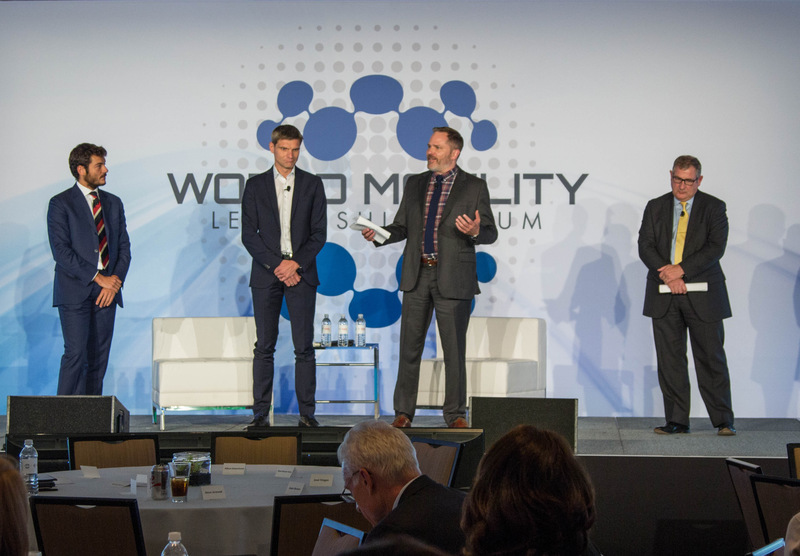 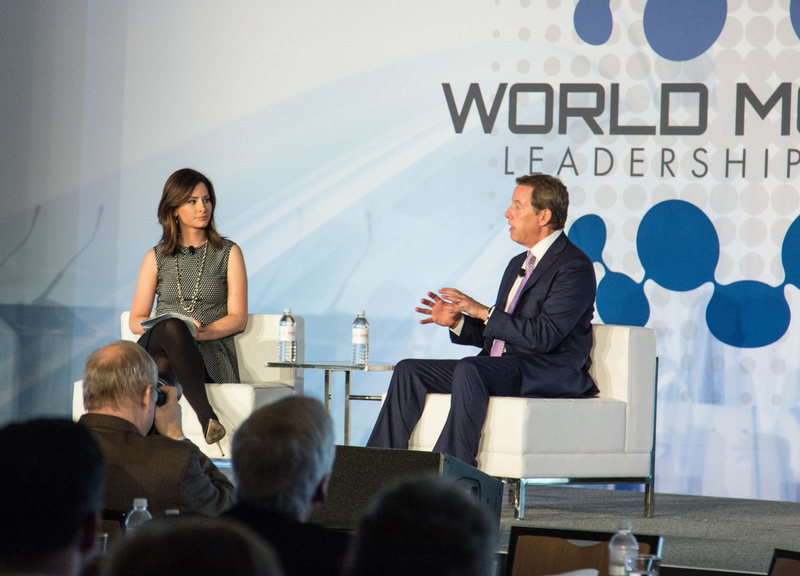 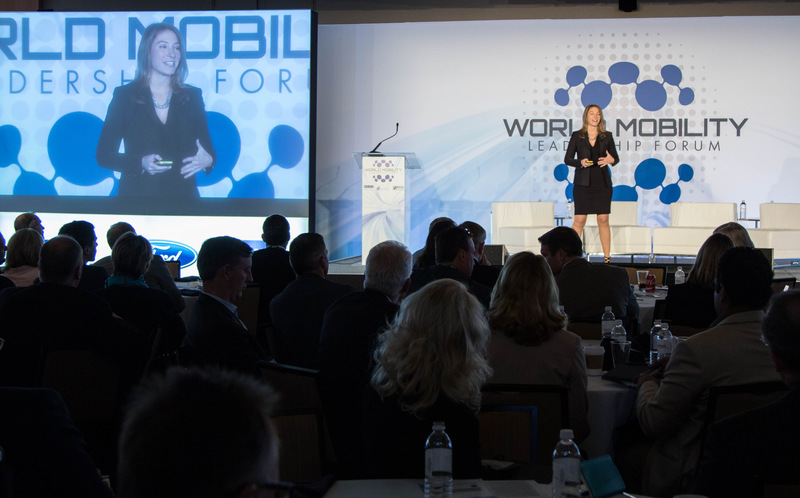 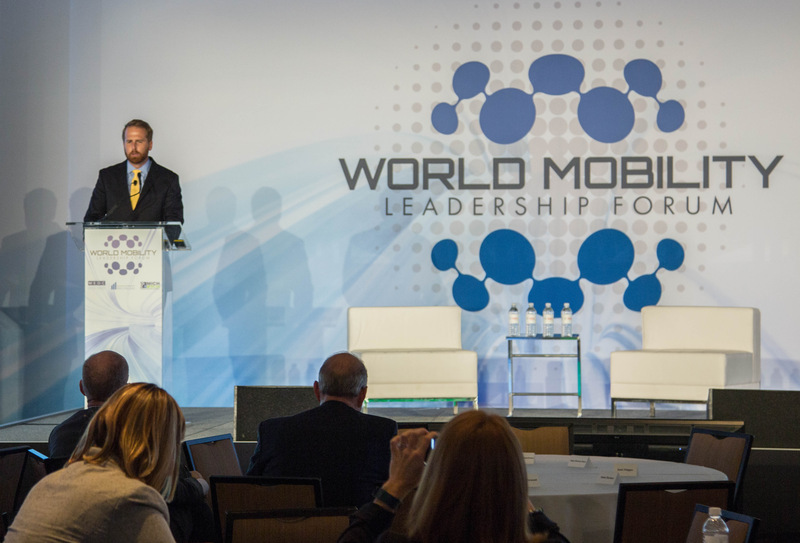 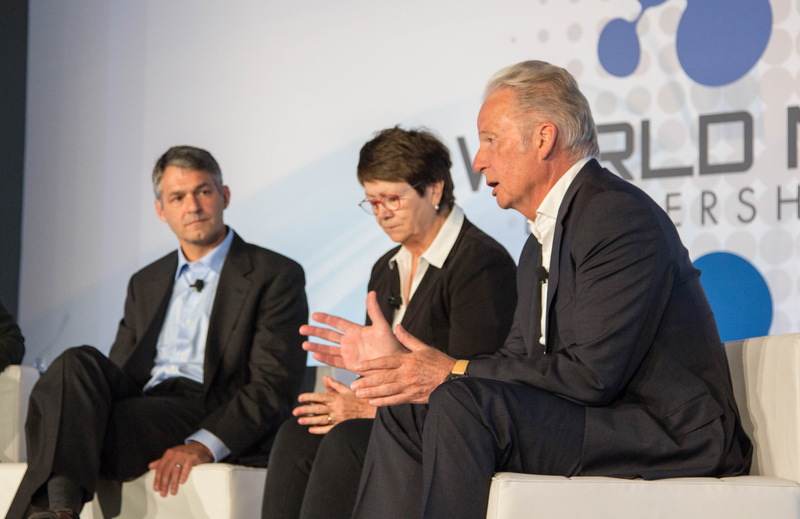 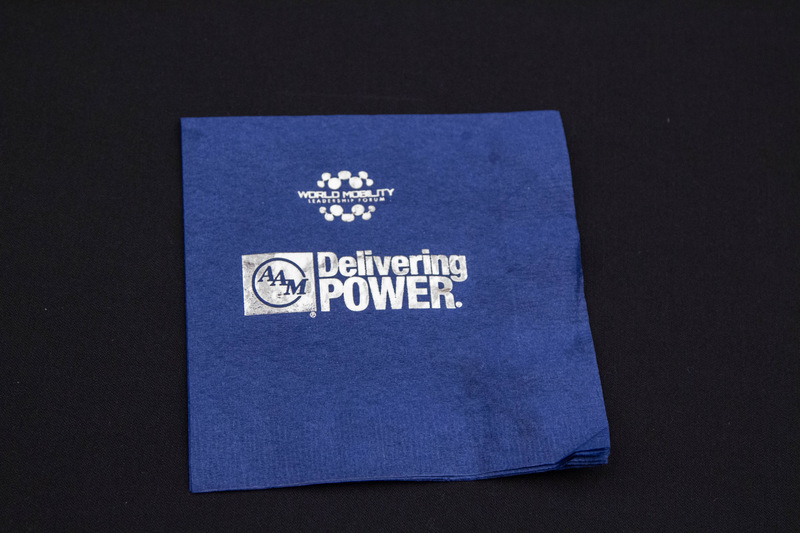 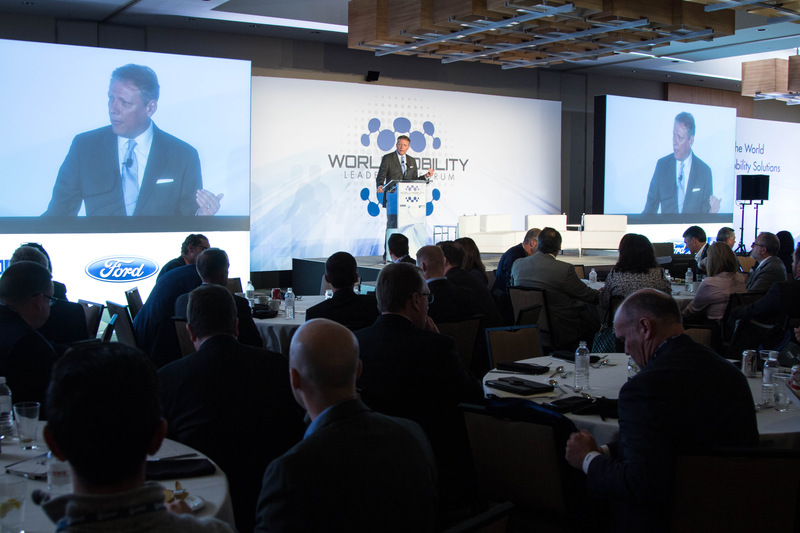 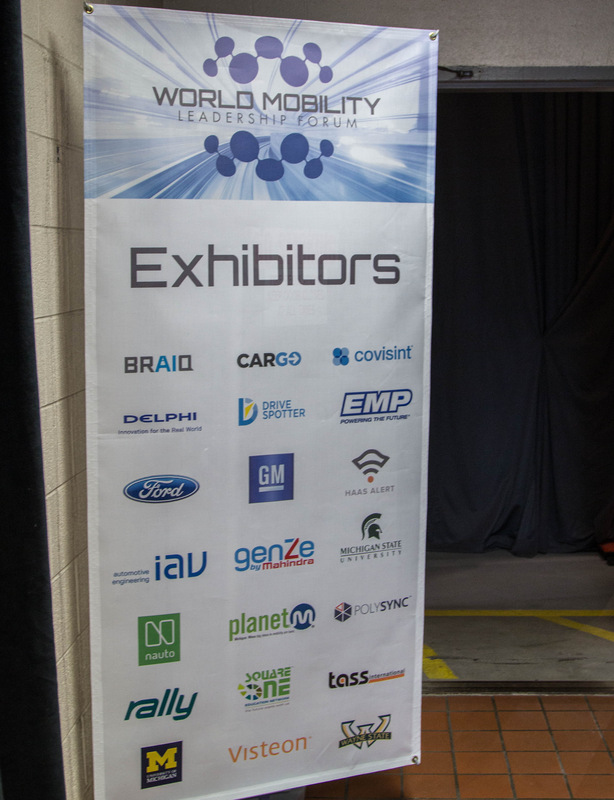 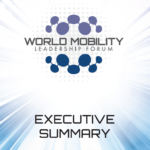 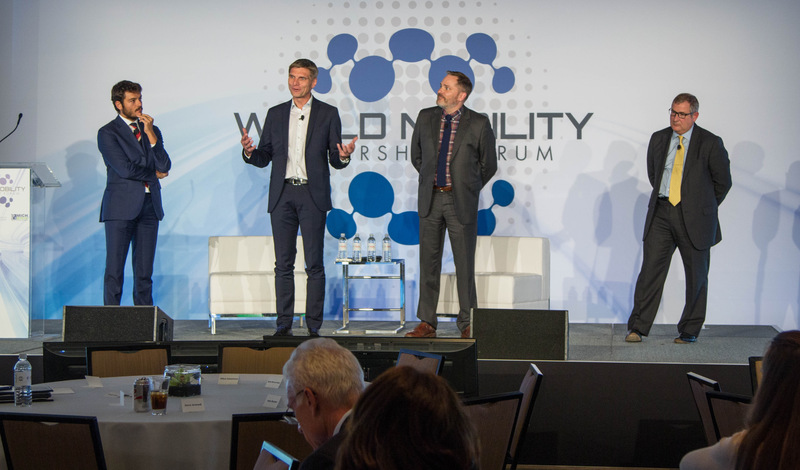 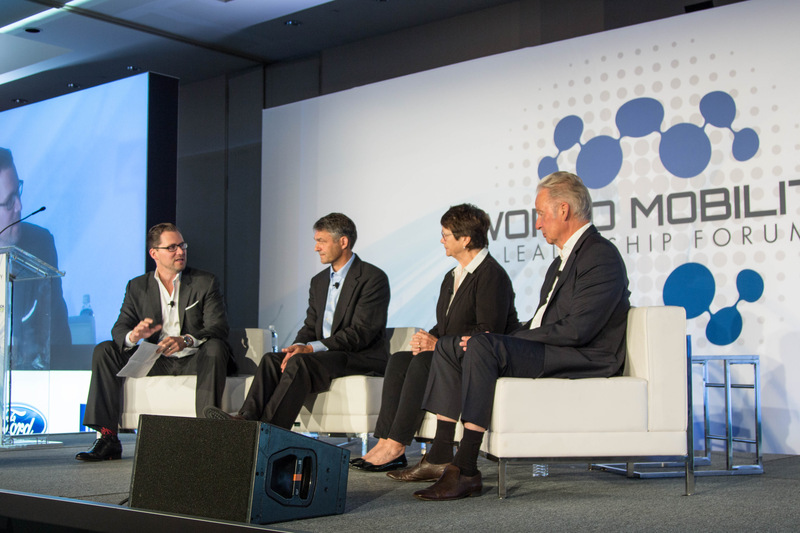 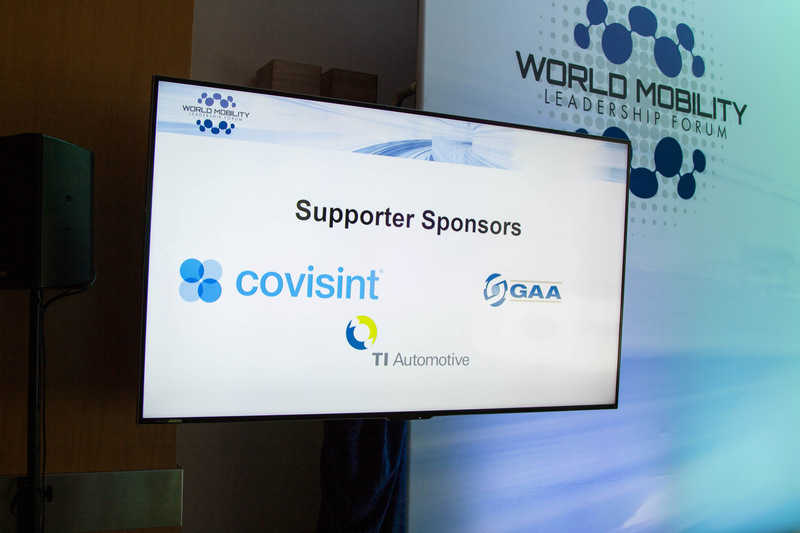 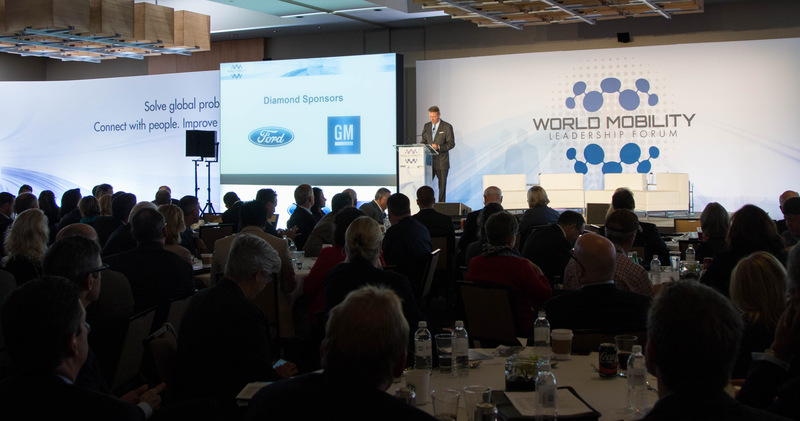 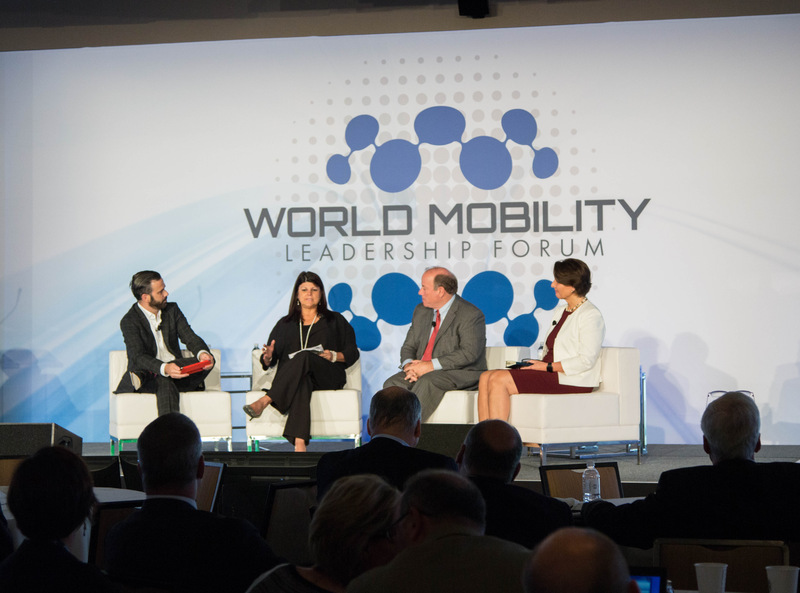 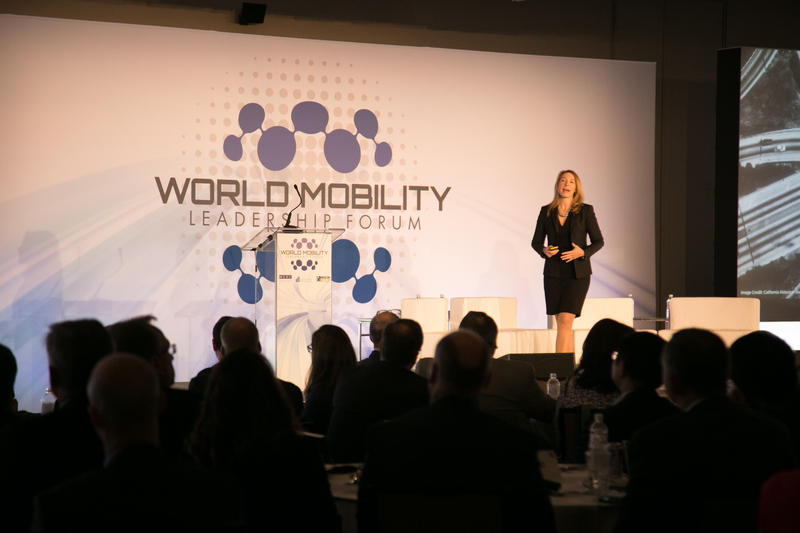 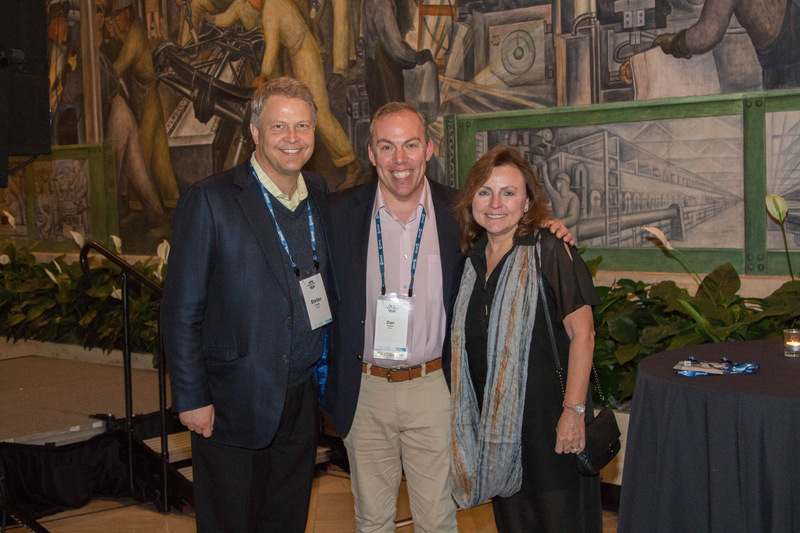 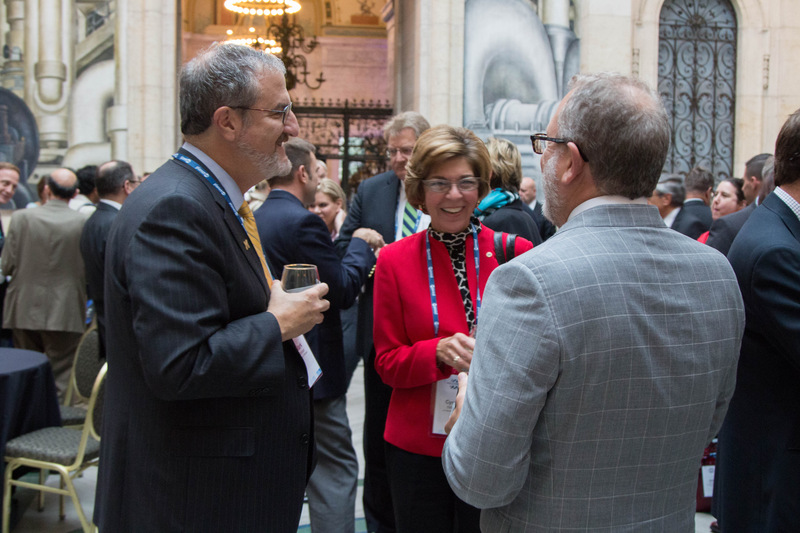 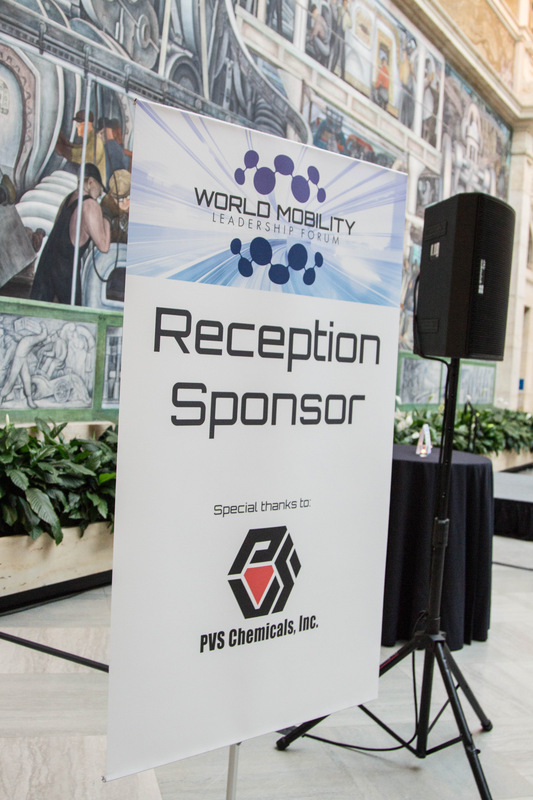 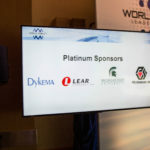 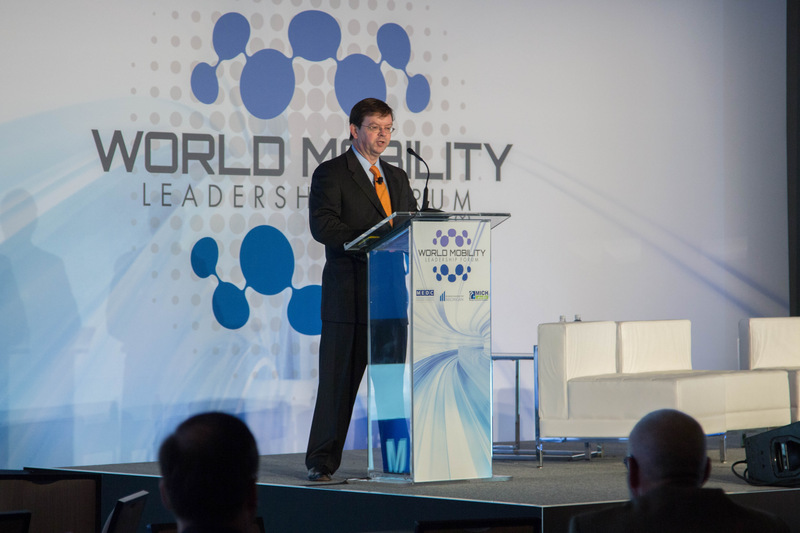 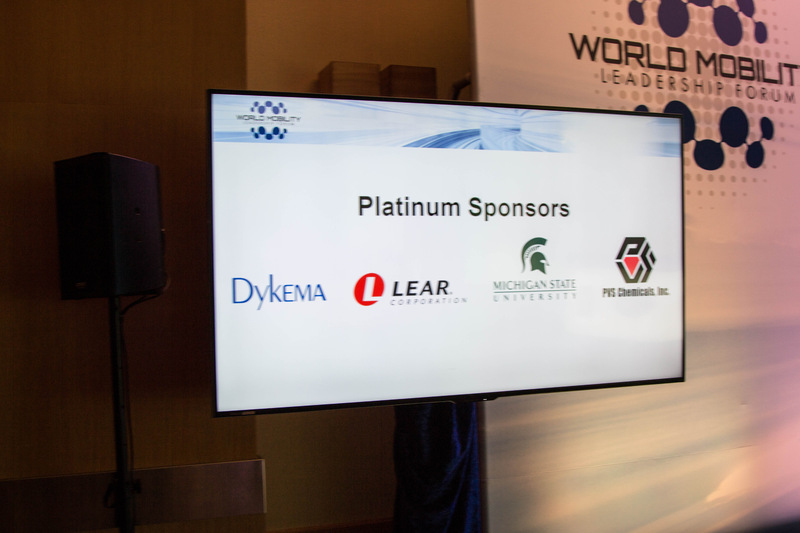 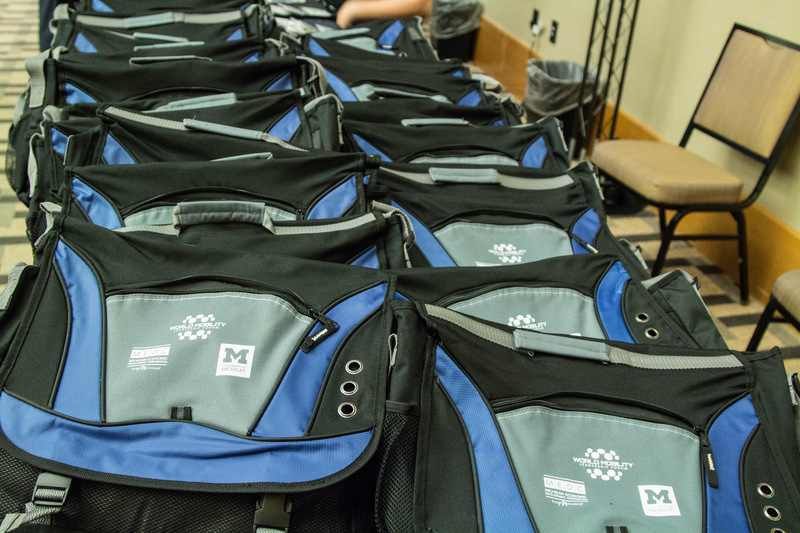 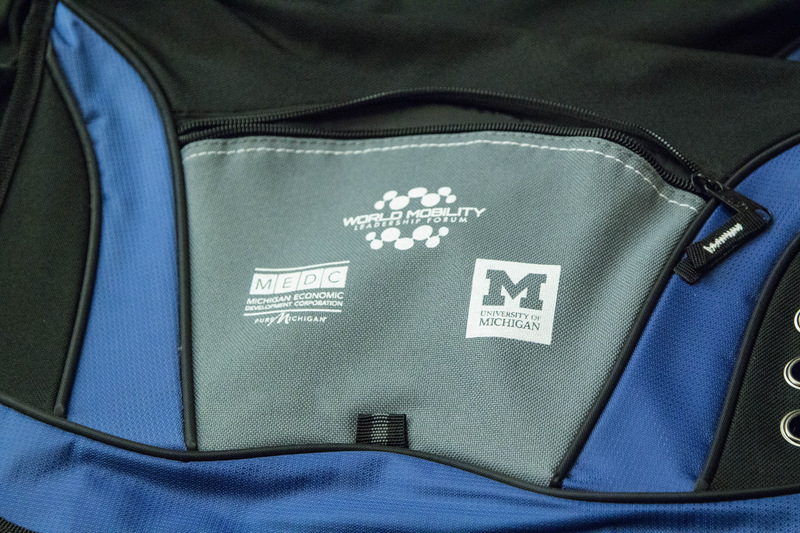 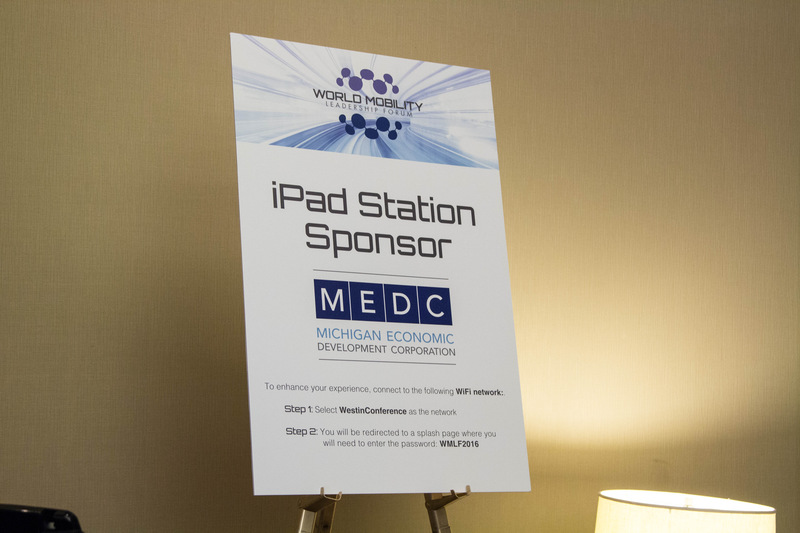 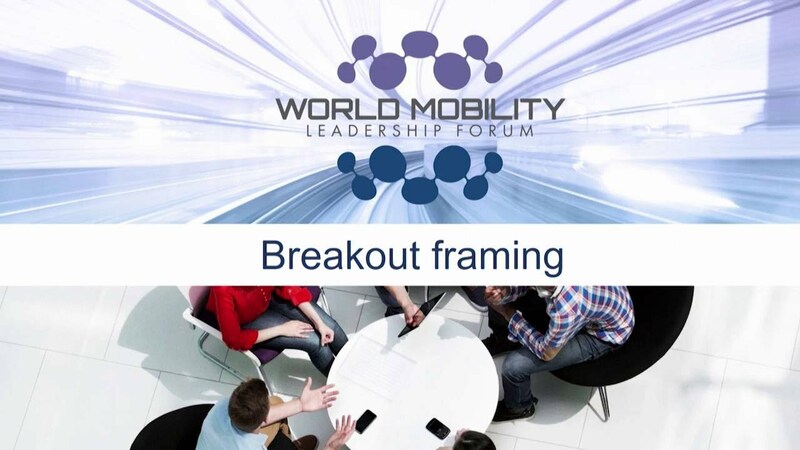 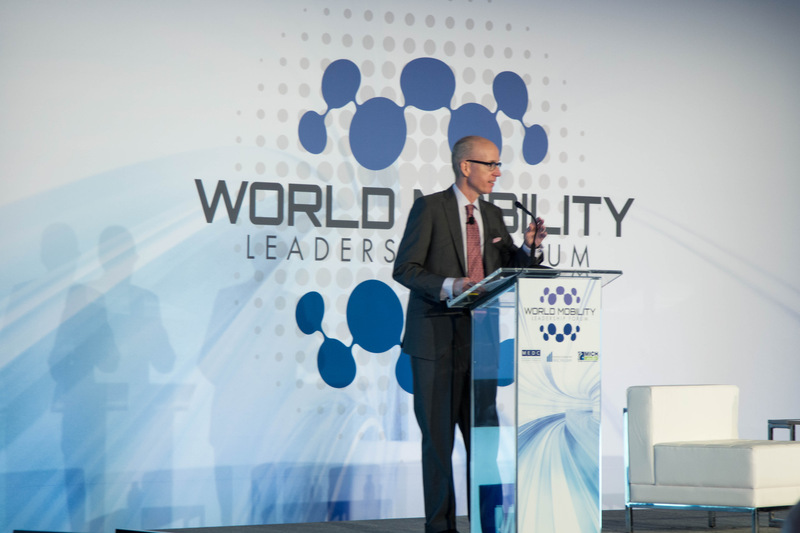 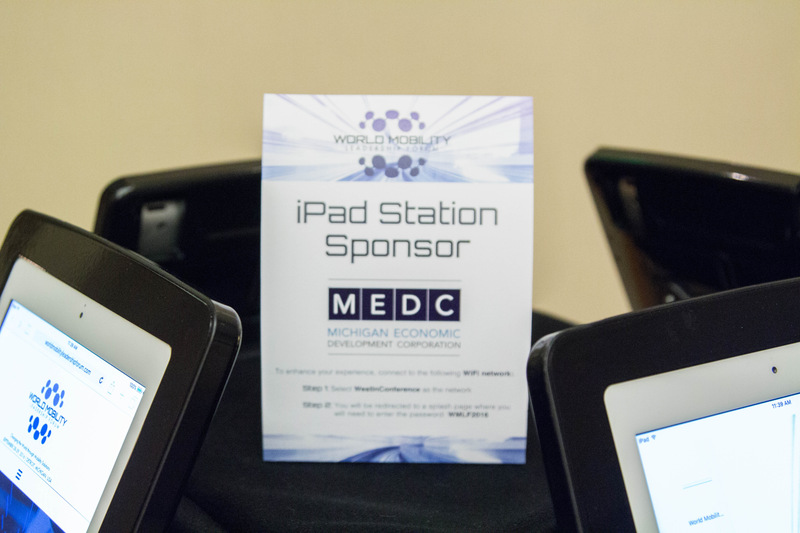 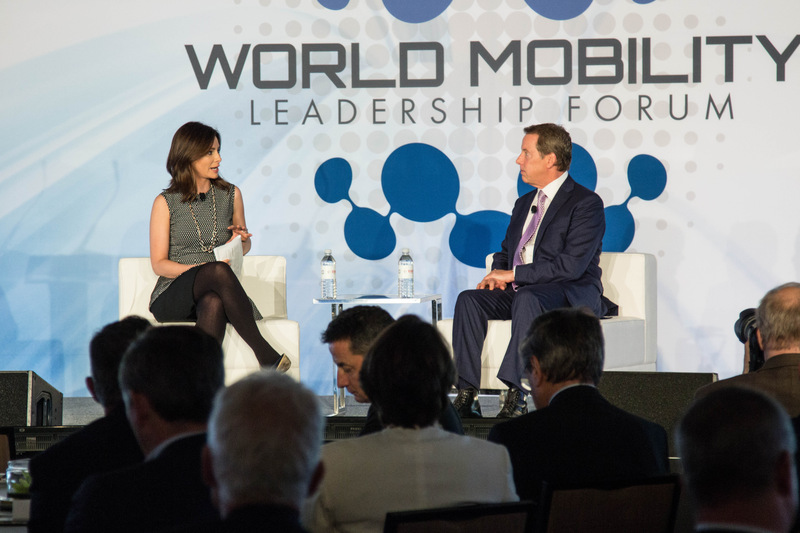 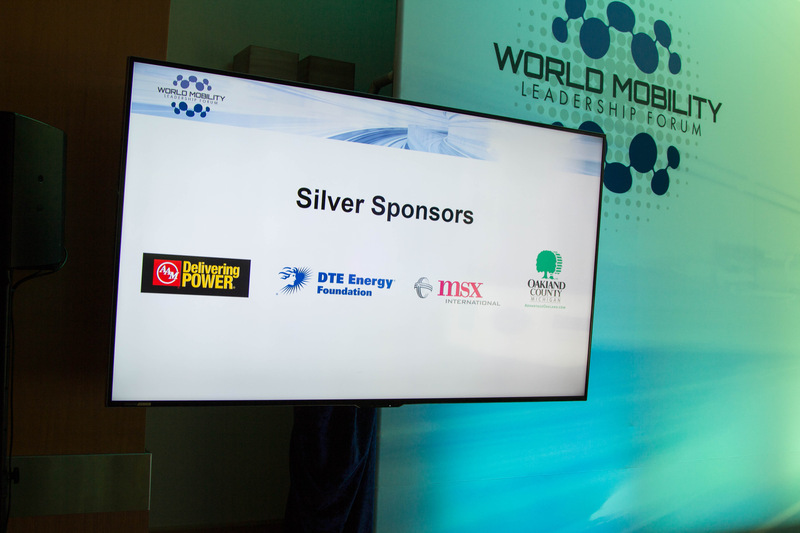 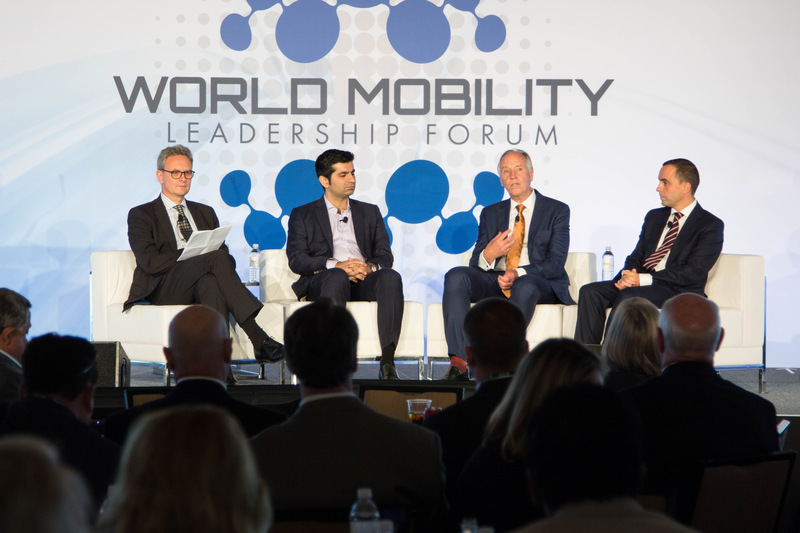 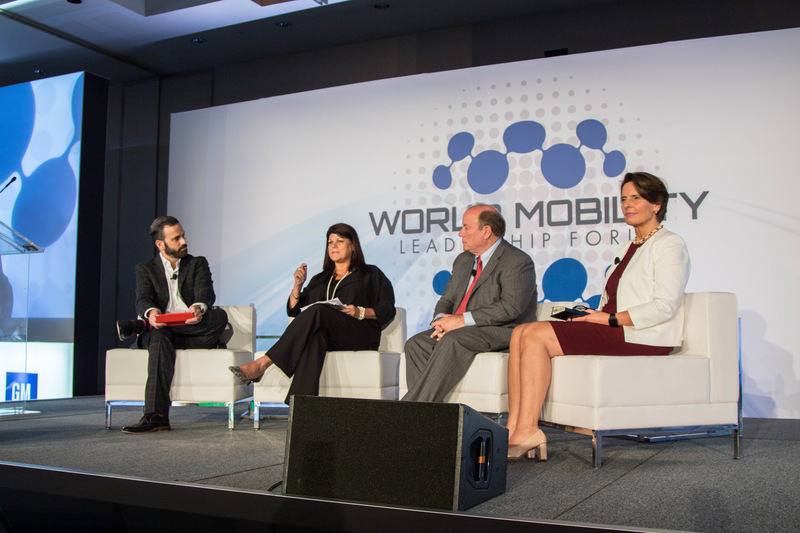 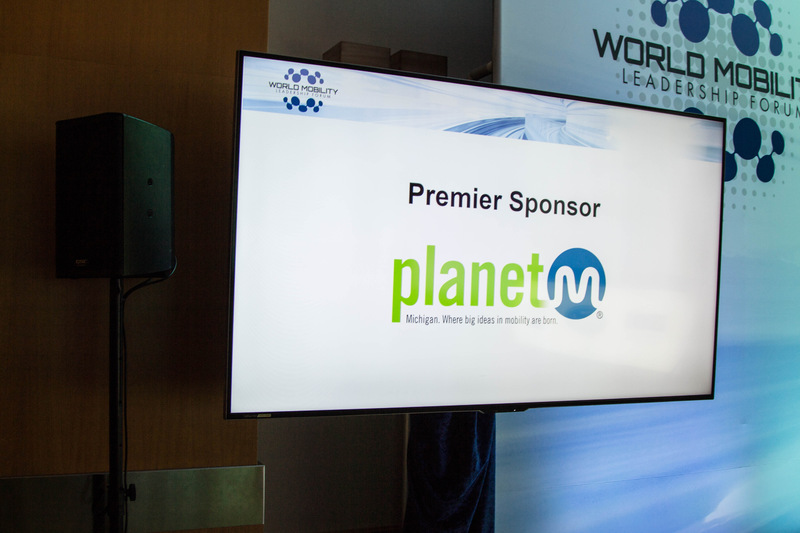 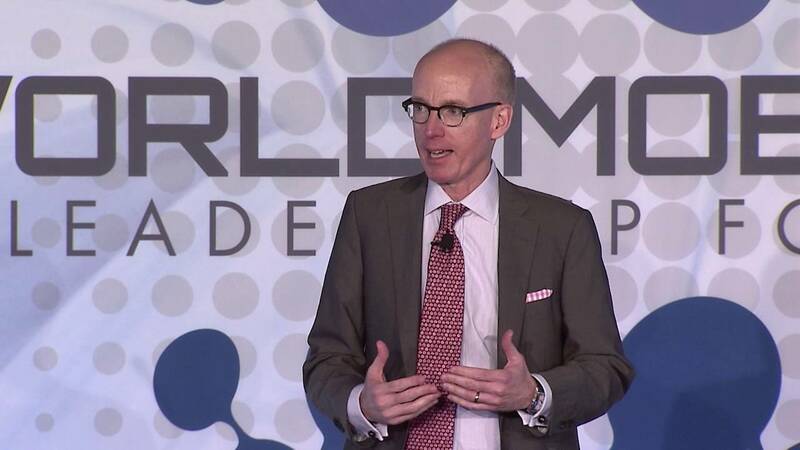 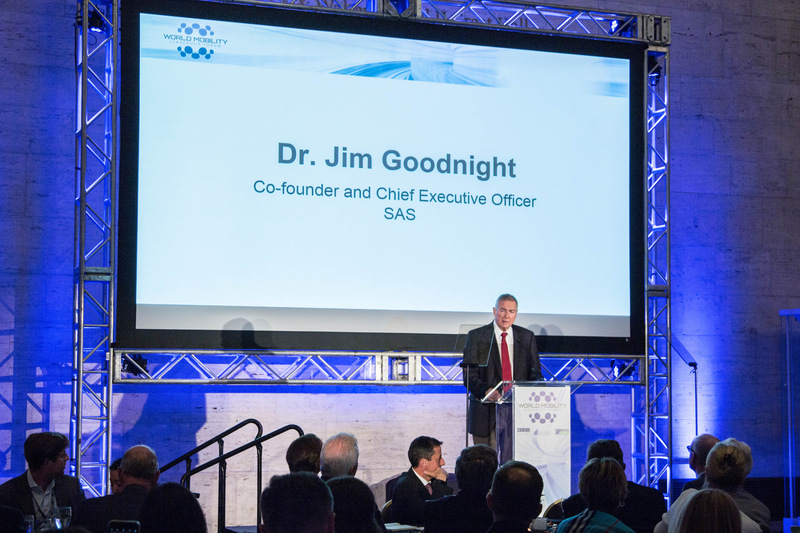 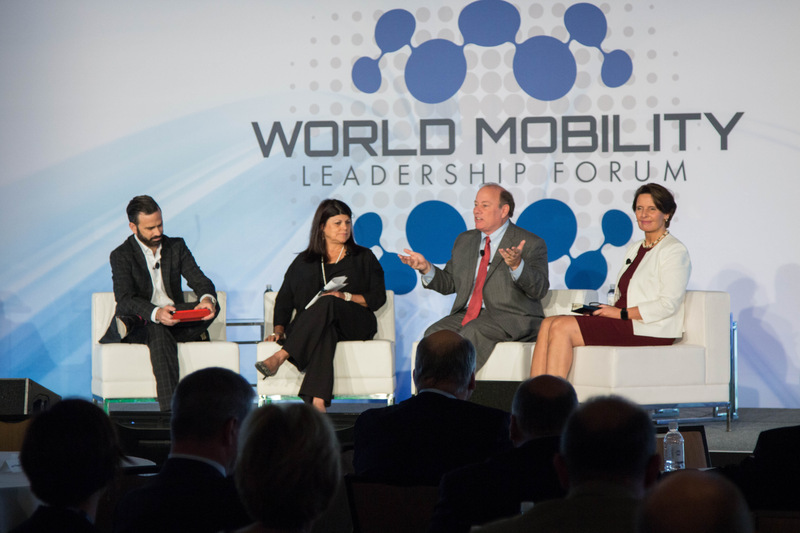 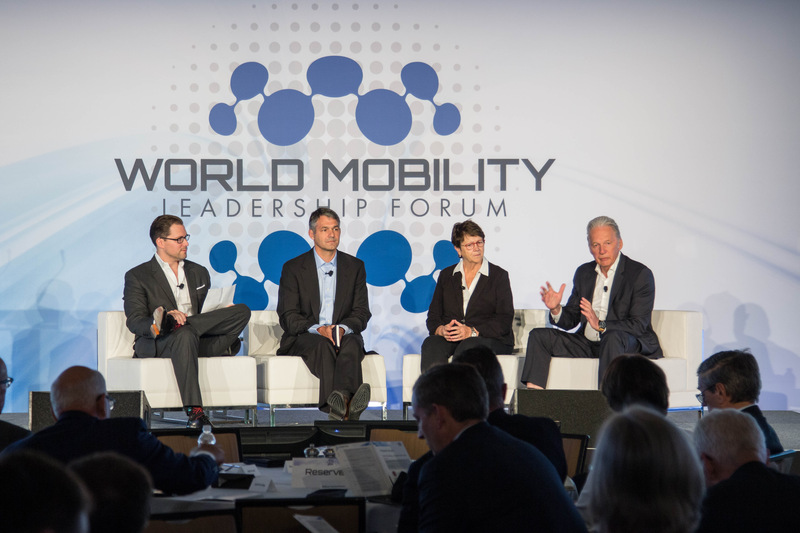 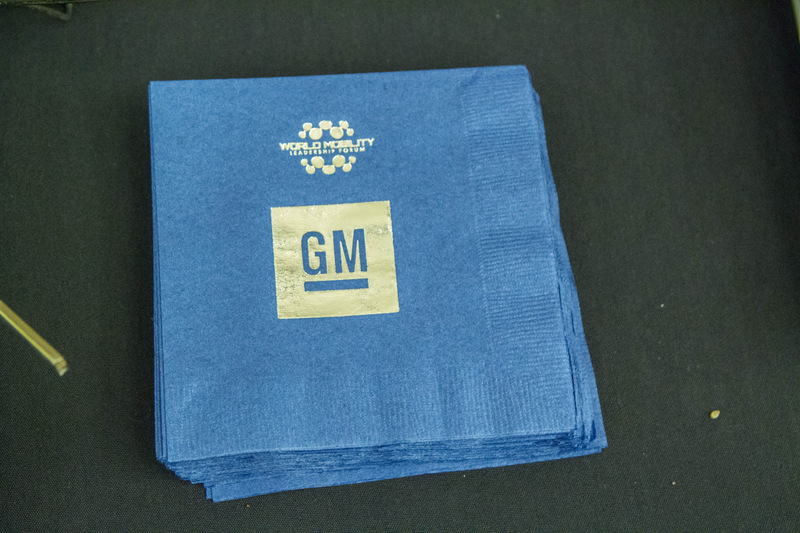 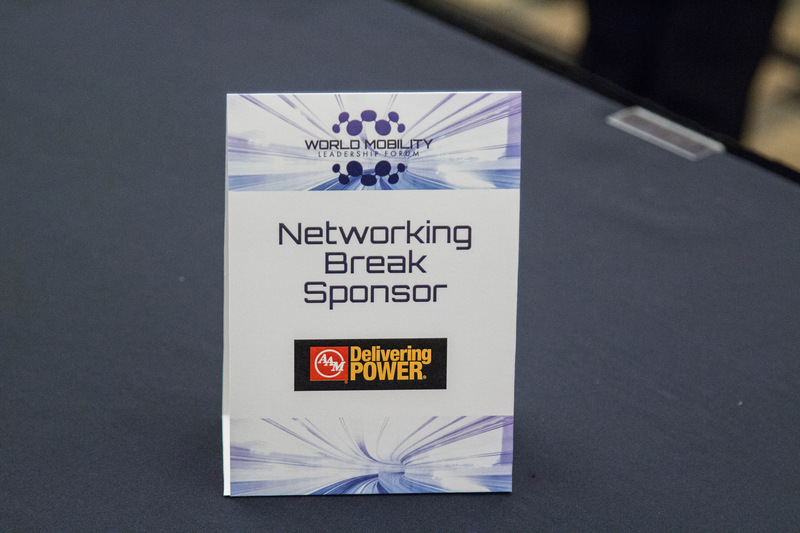 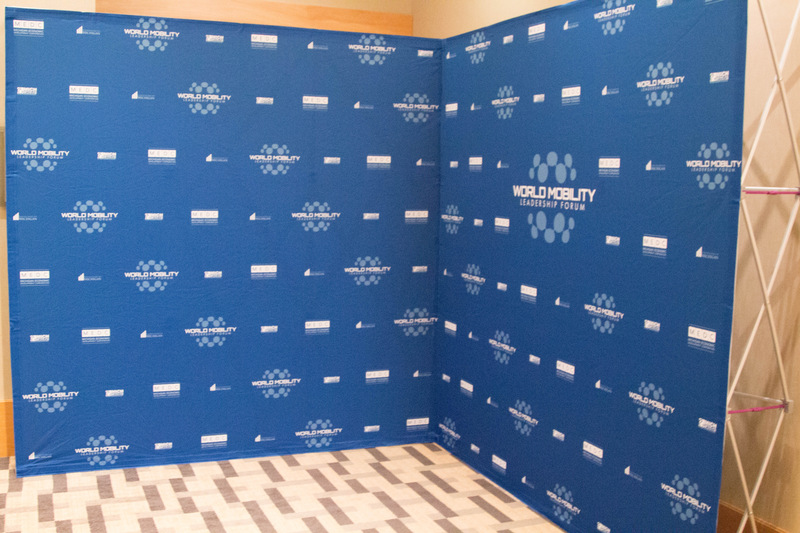 The inaugural 2016 World Mobility Leadership Forum proved that mobility’s next chapter begins in Detroit. 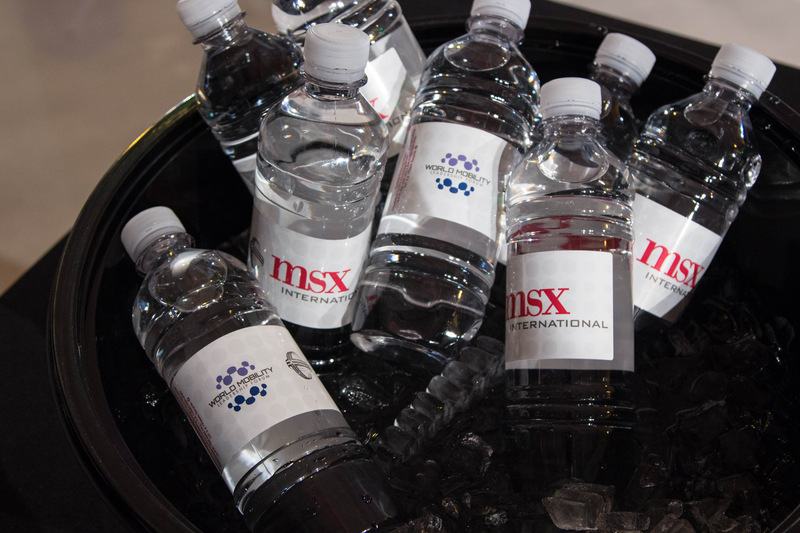 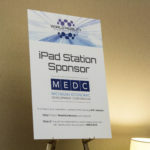 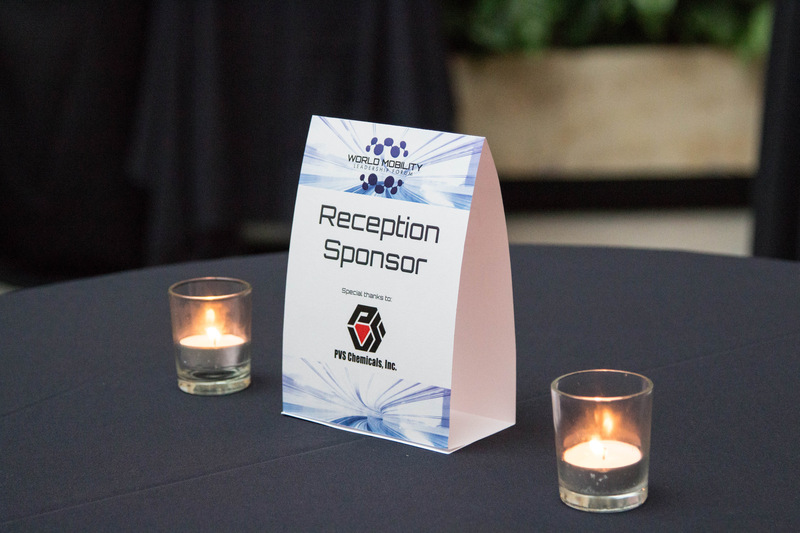 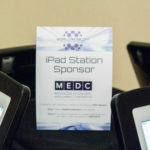 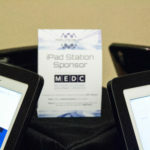 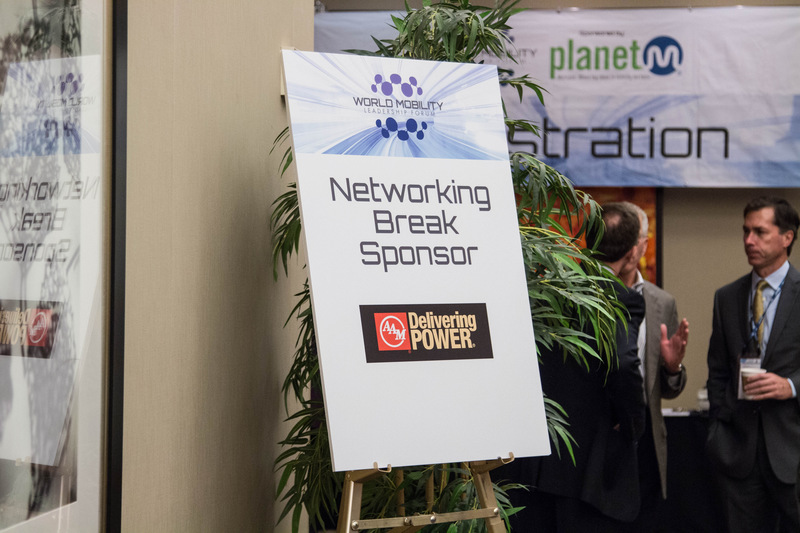 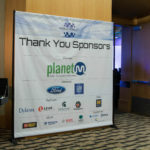 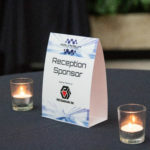 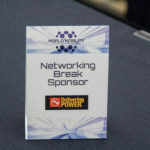 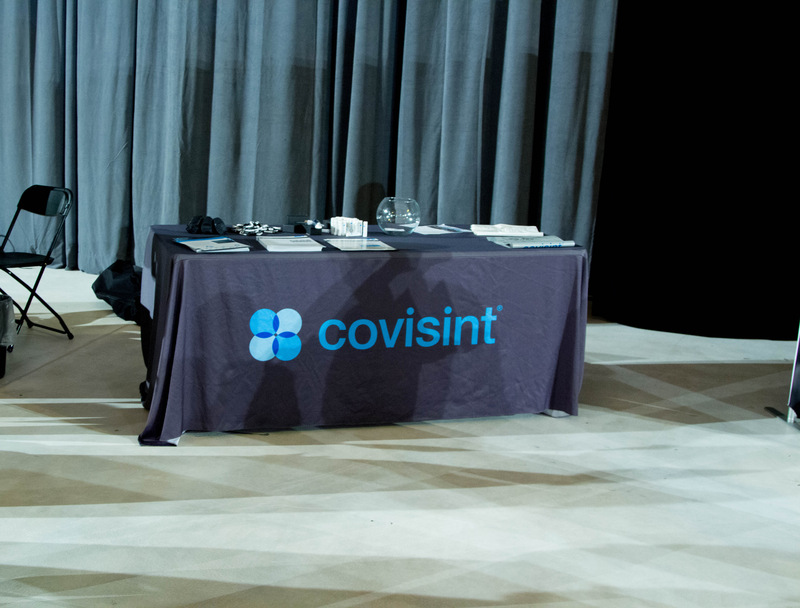 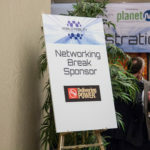 We want to thank the partners, sponsors and speakers that made the experience memorable. 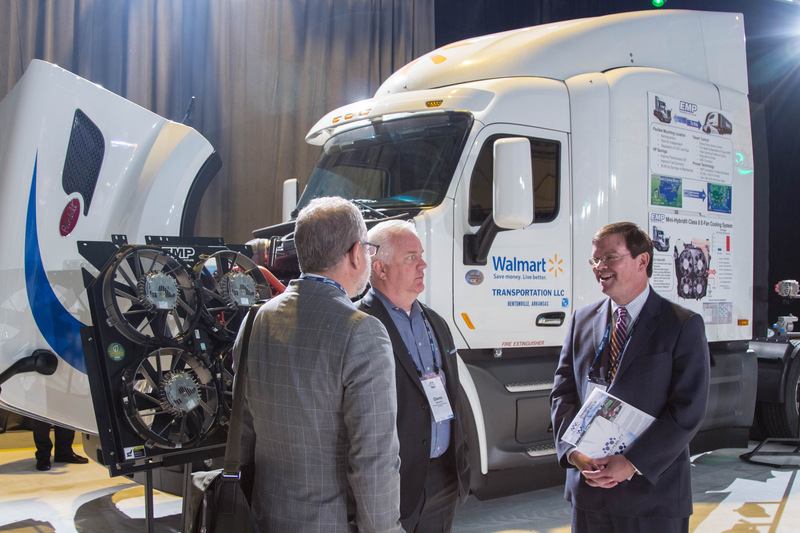 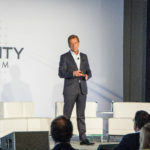 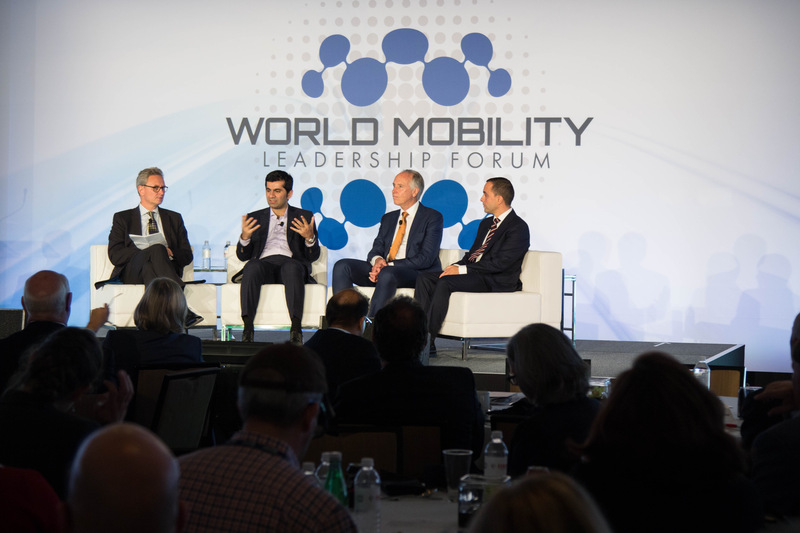 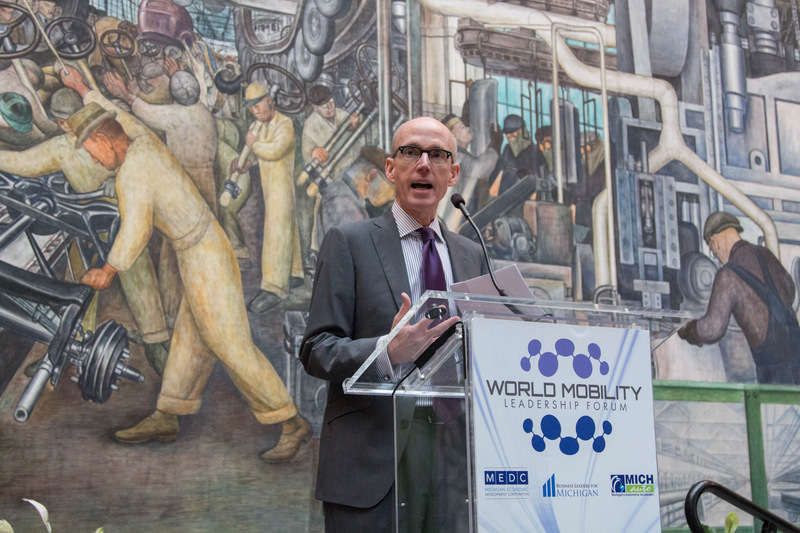 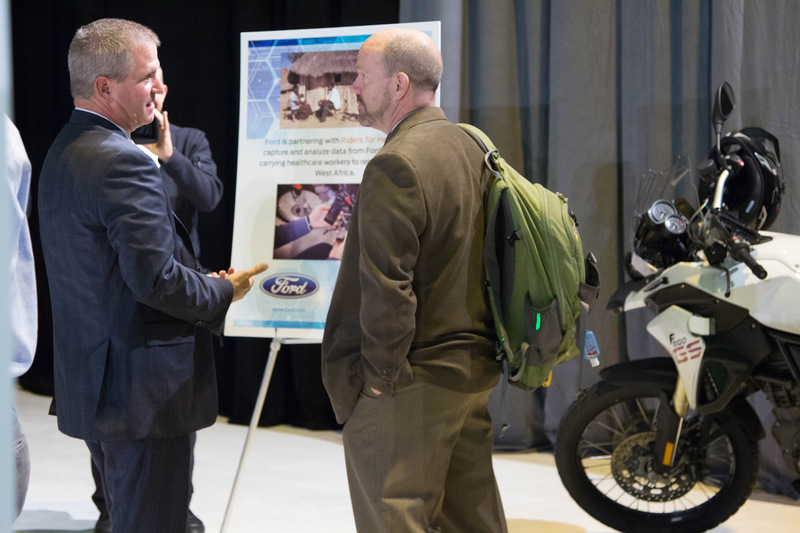 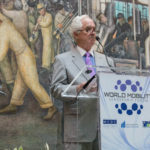 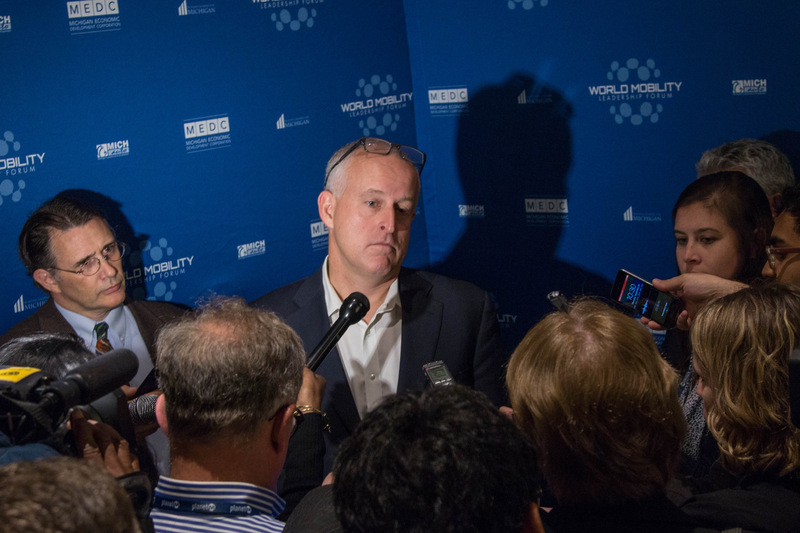 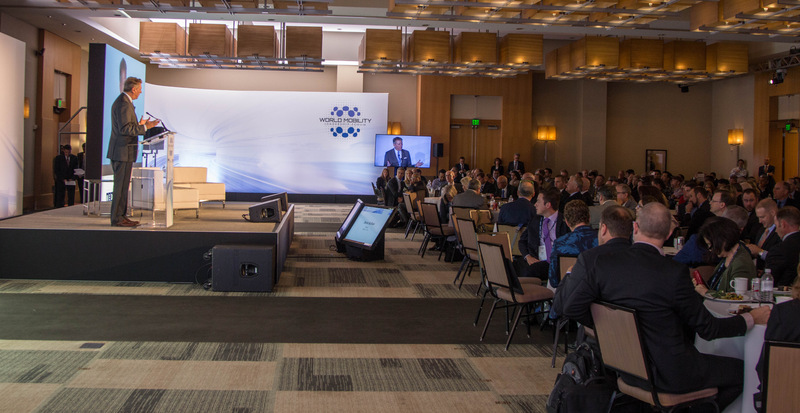 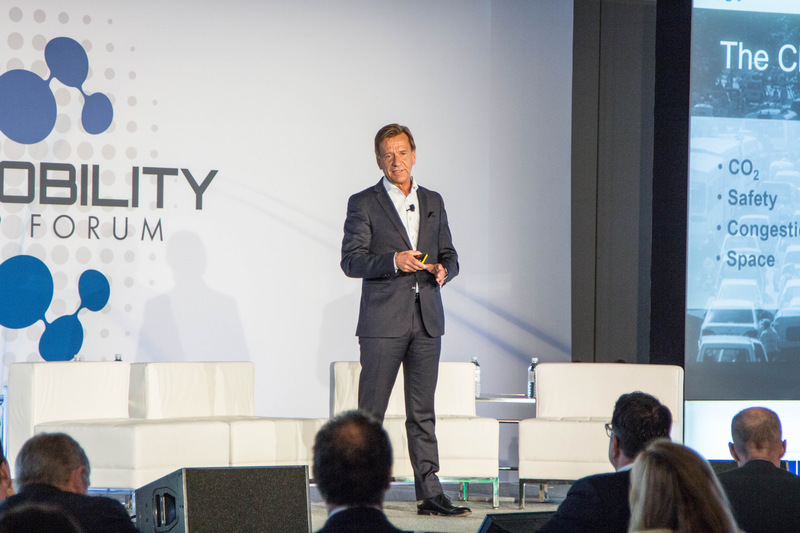 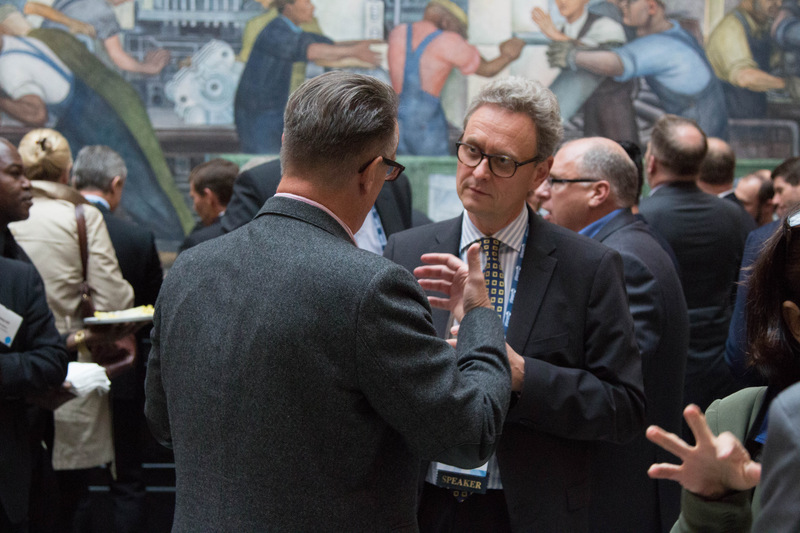 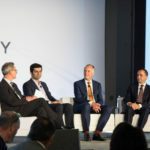 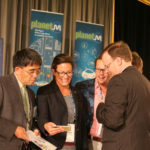 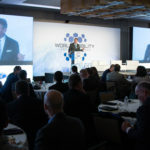 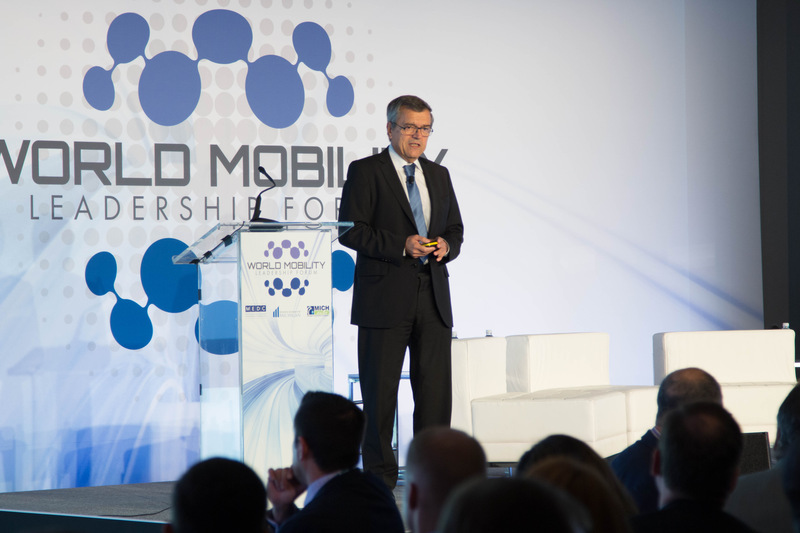 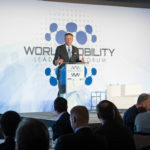 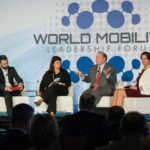 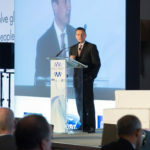 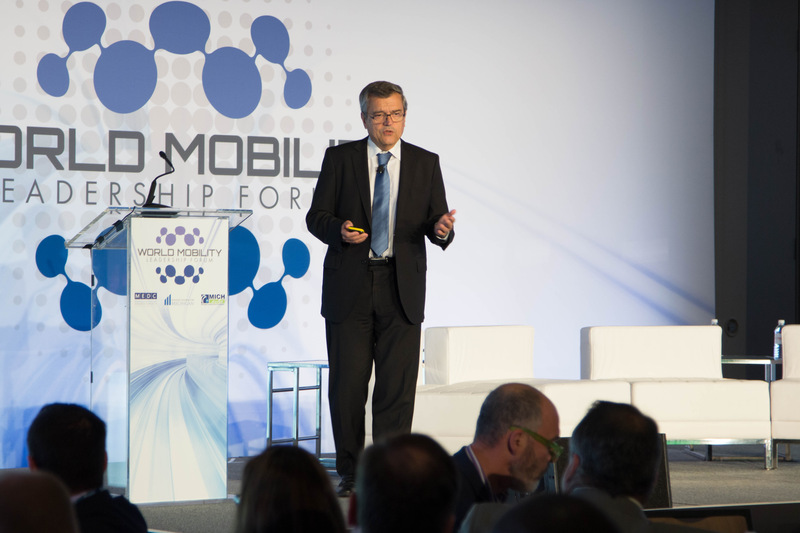 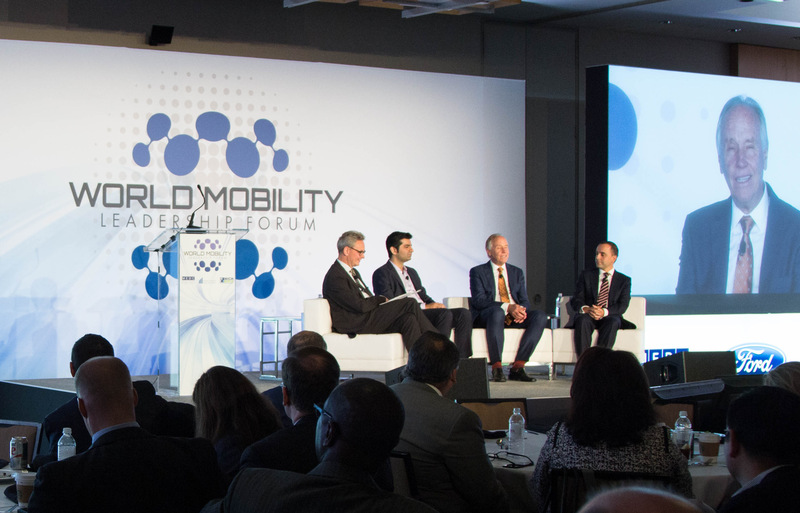 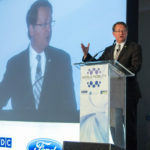 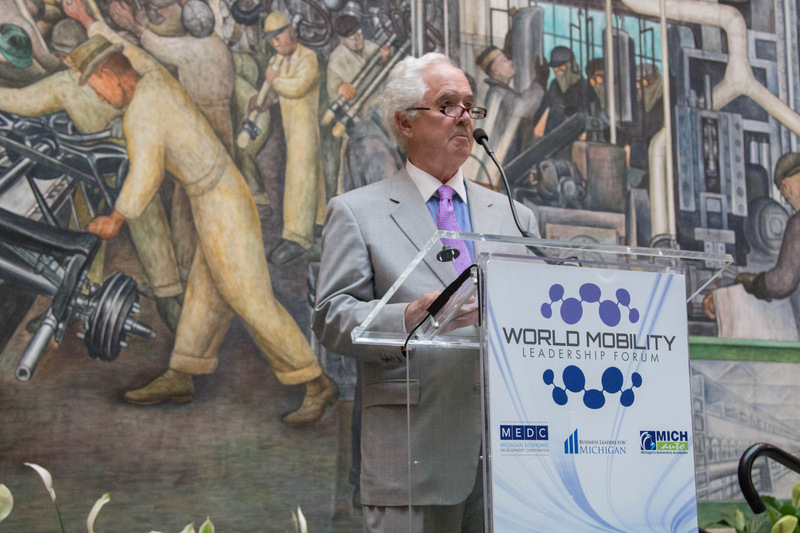 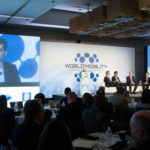 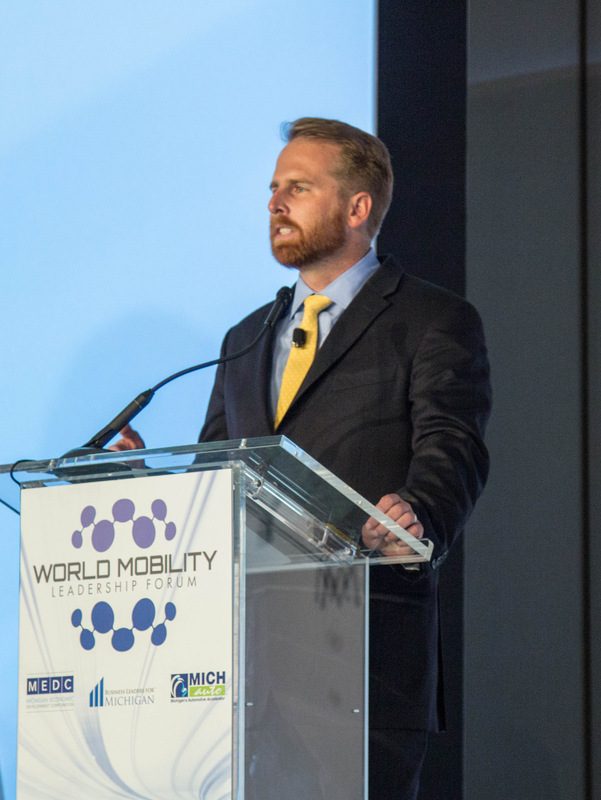 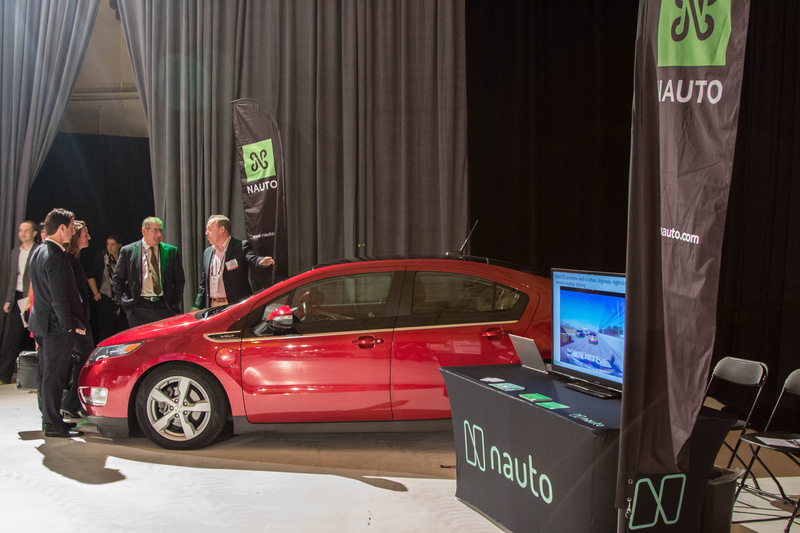 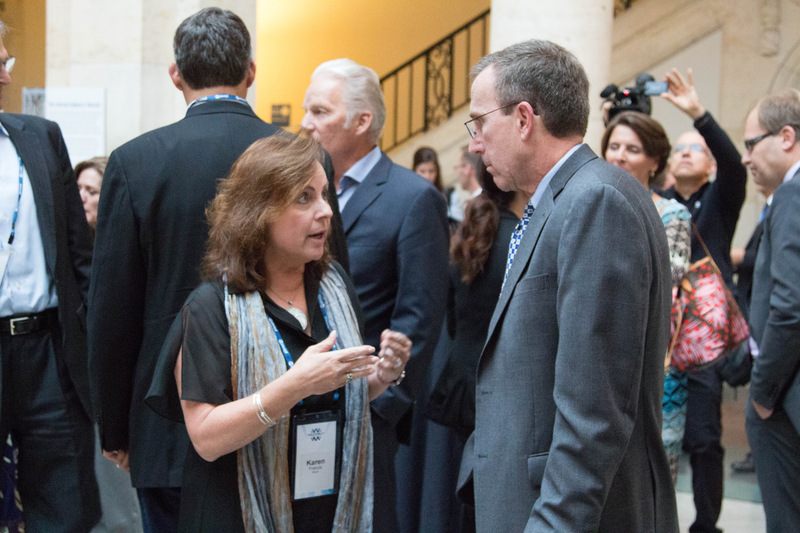 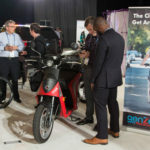 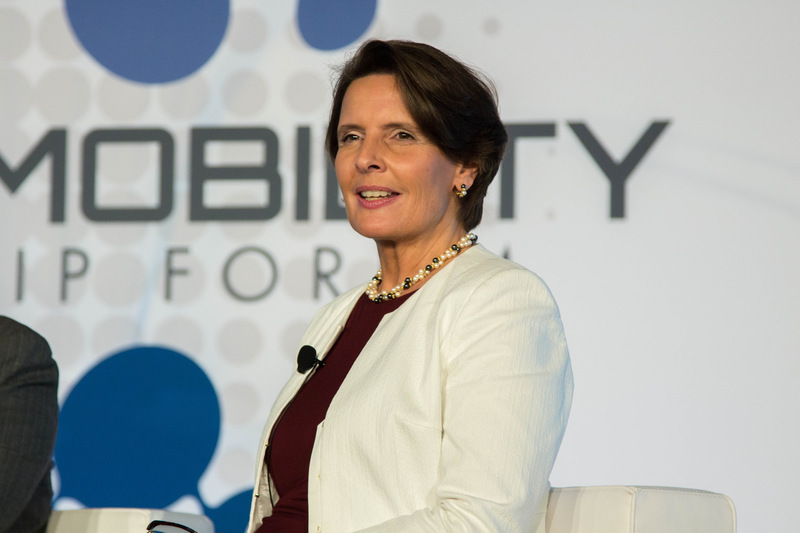 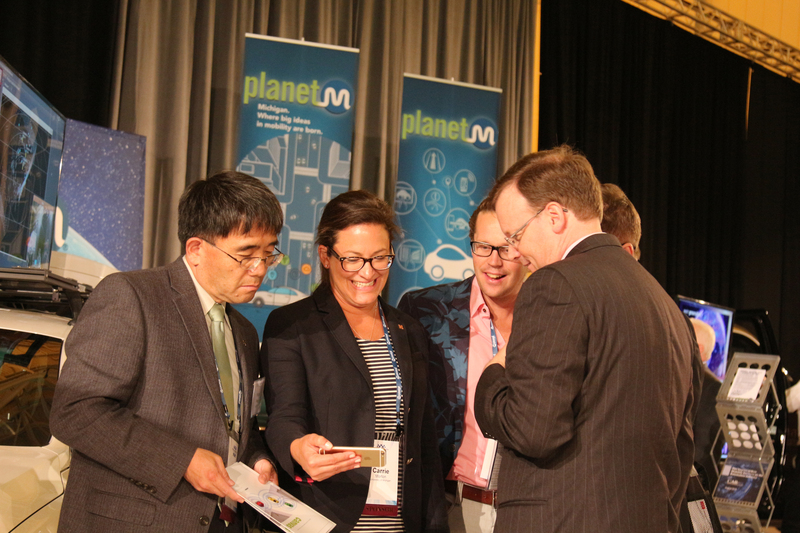 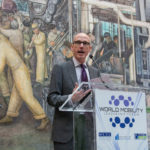 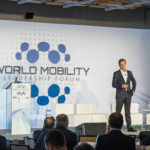 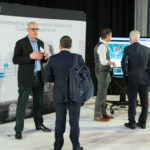 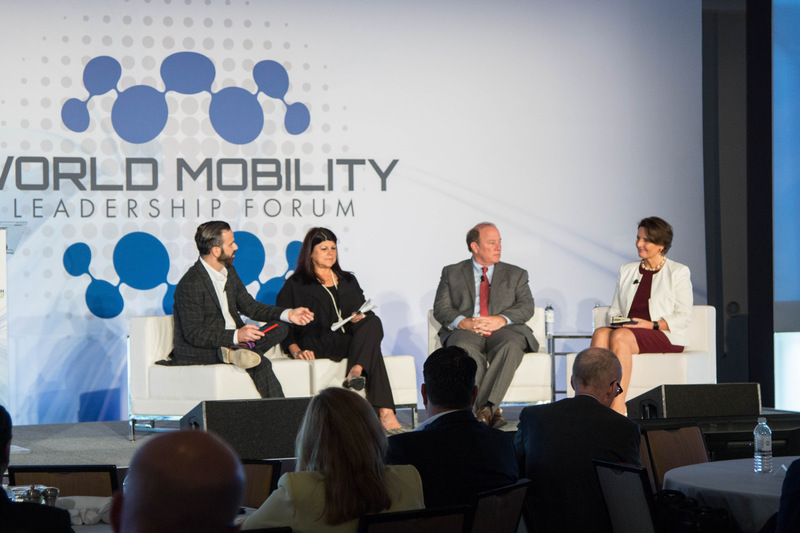 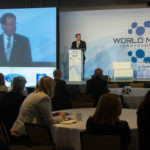 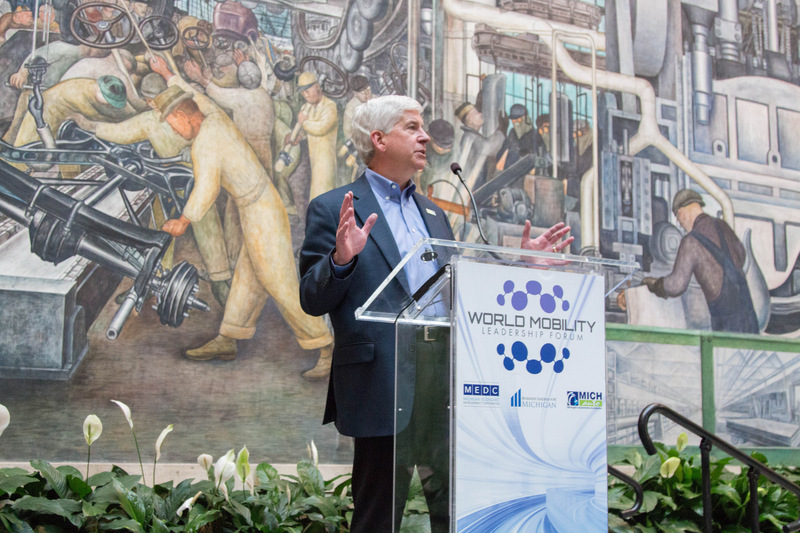 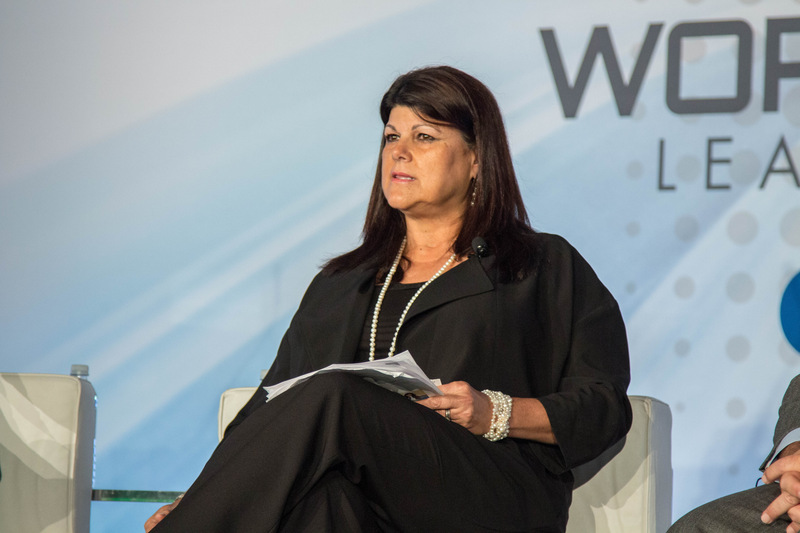 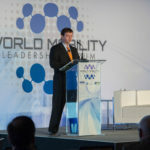 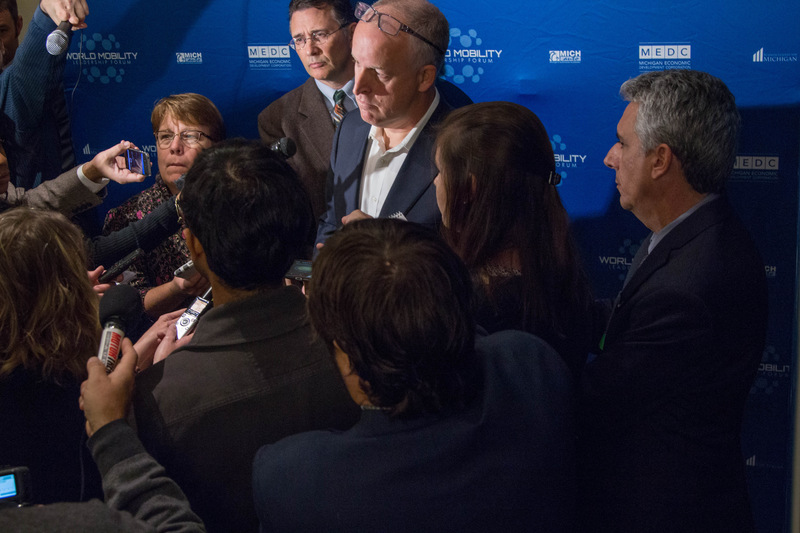 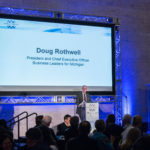 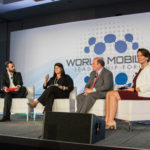 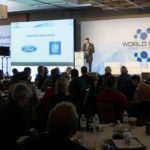 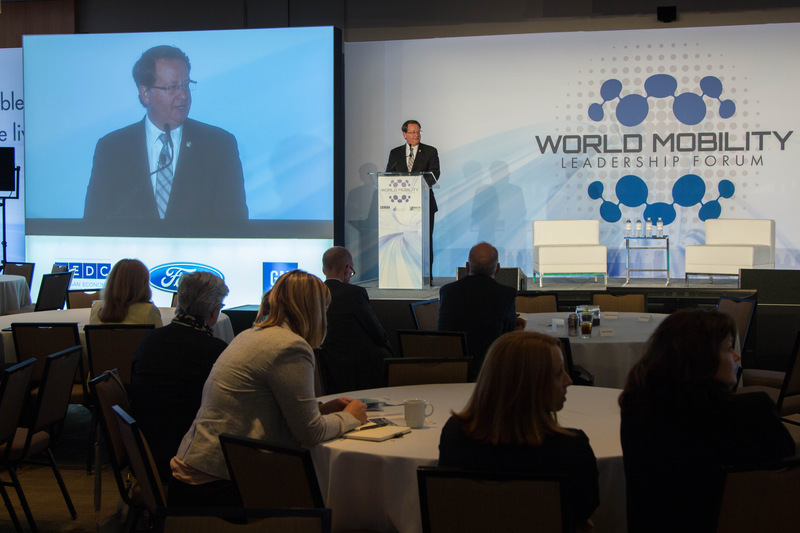 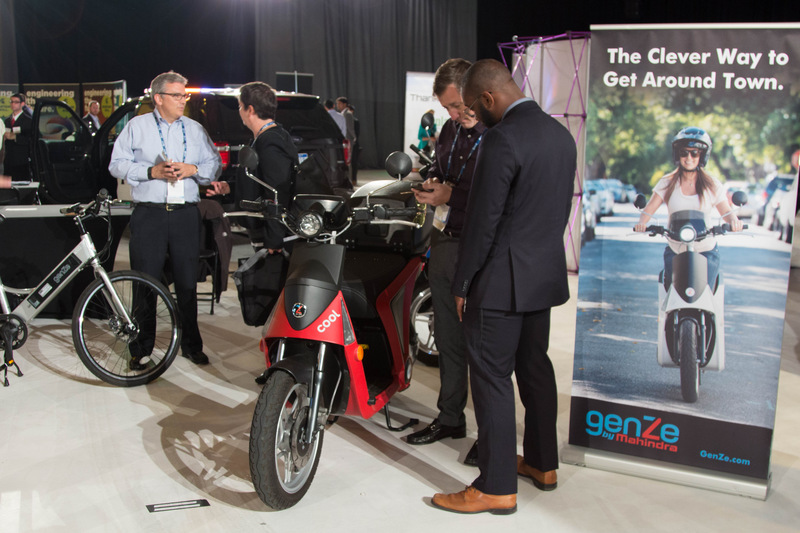 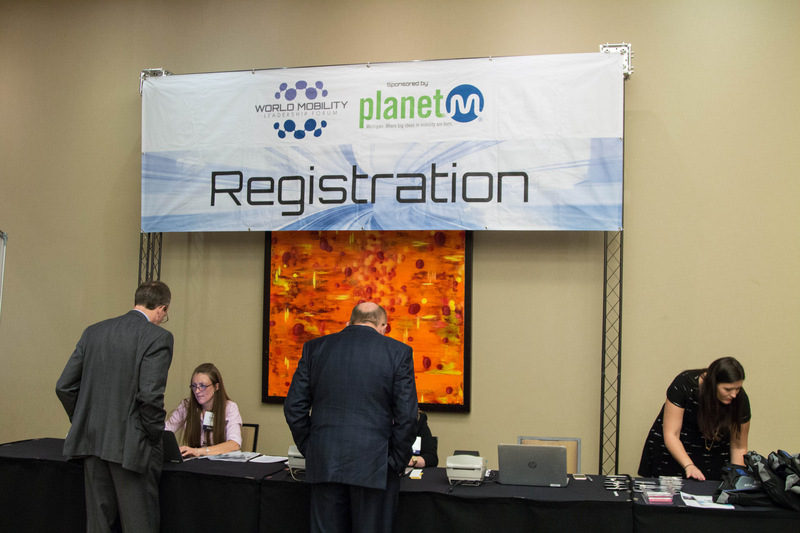 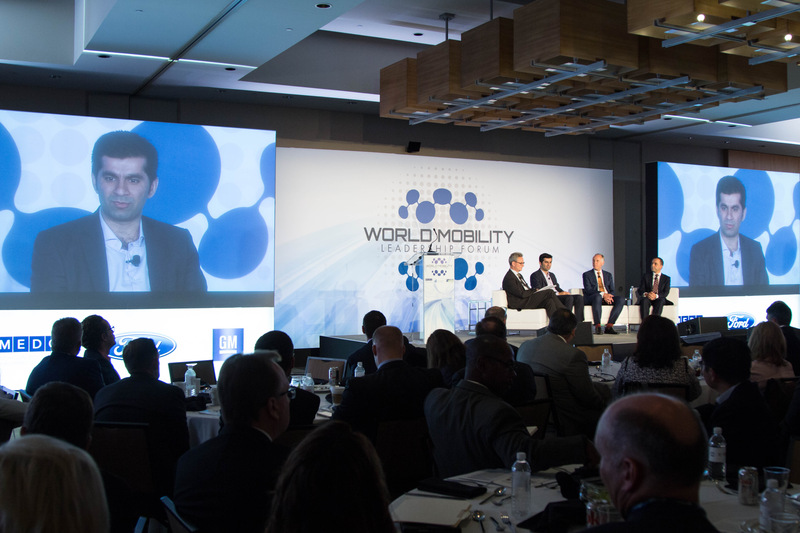 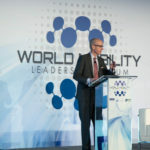 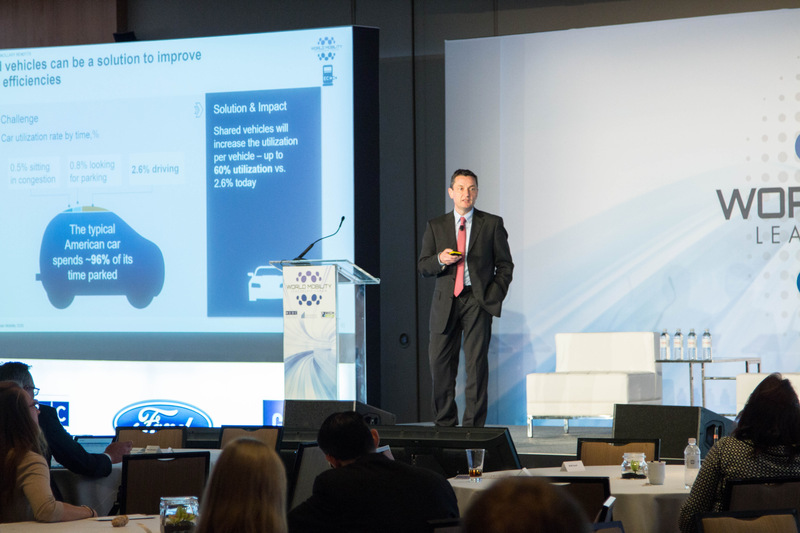 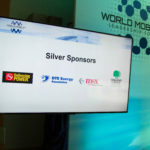 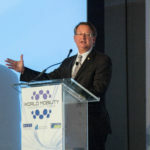 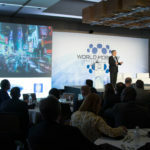 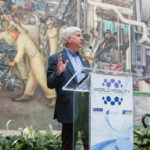 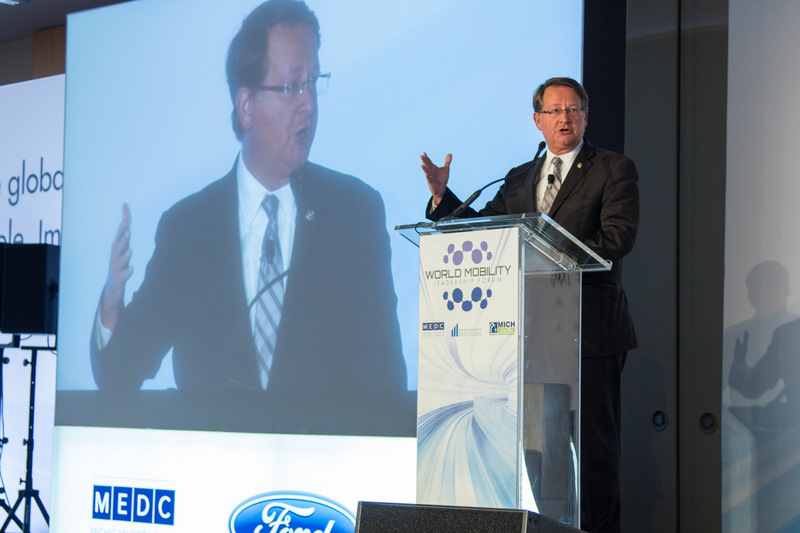 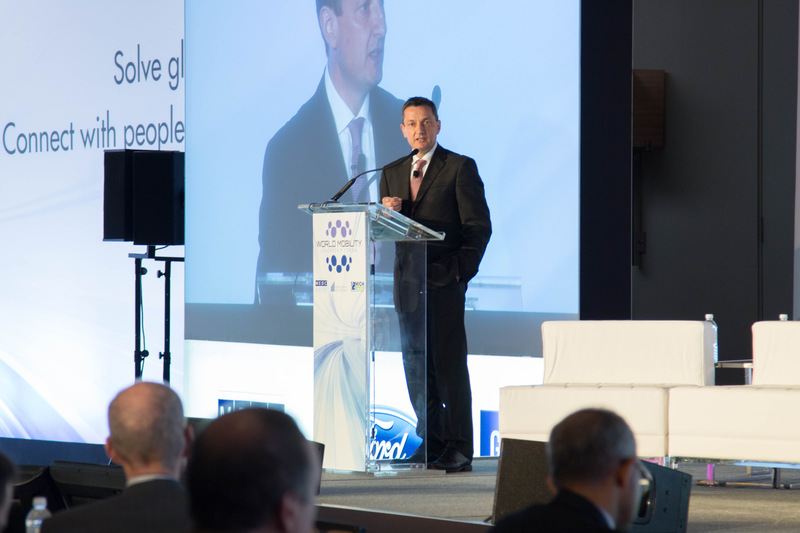 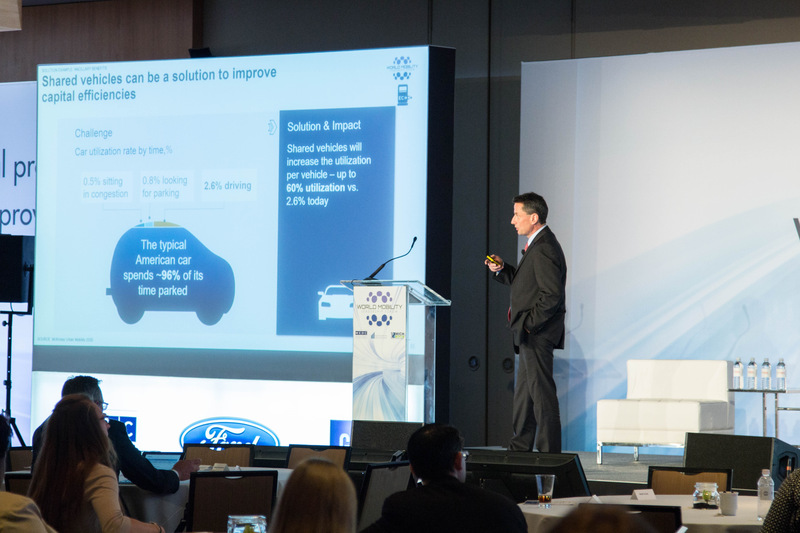 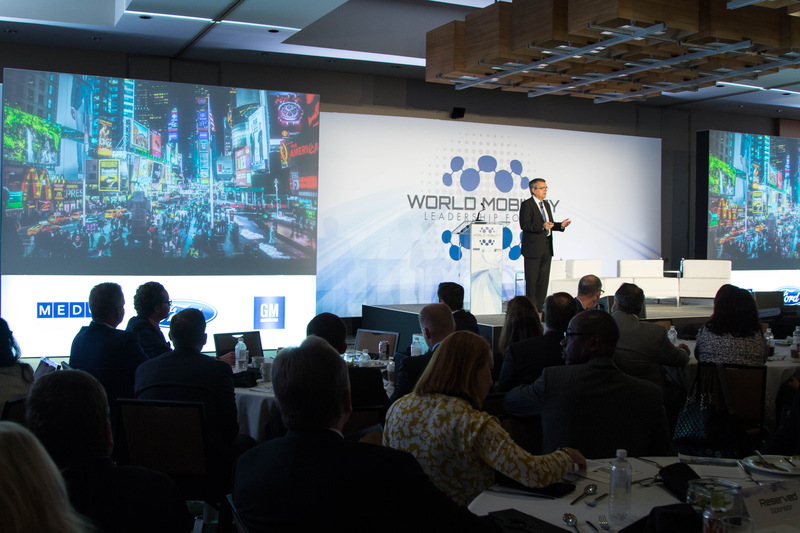 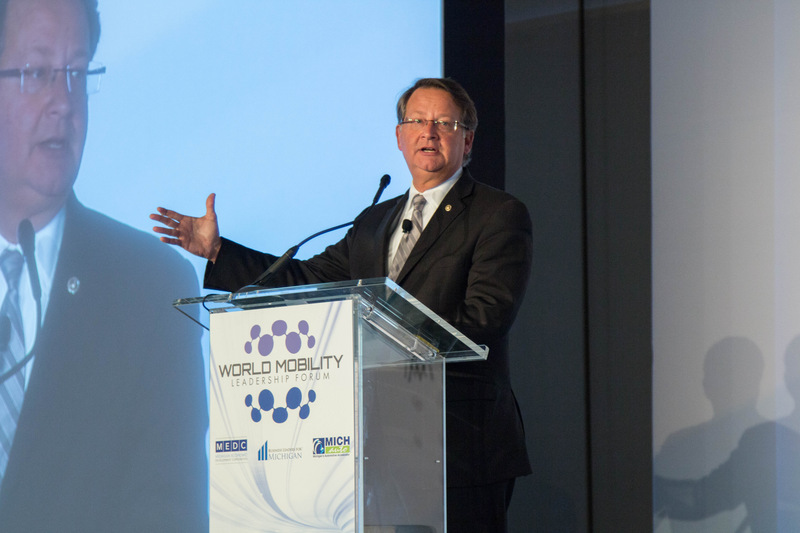 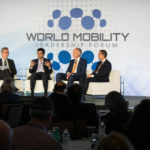 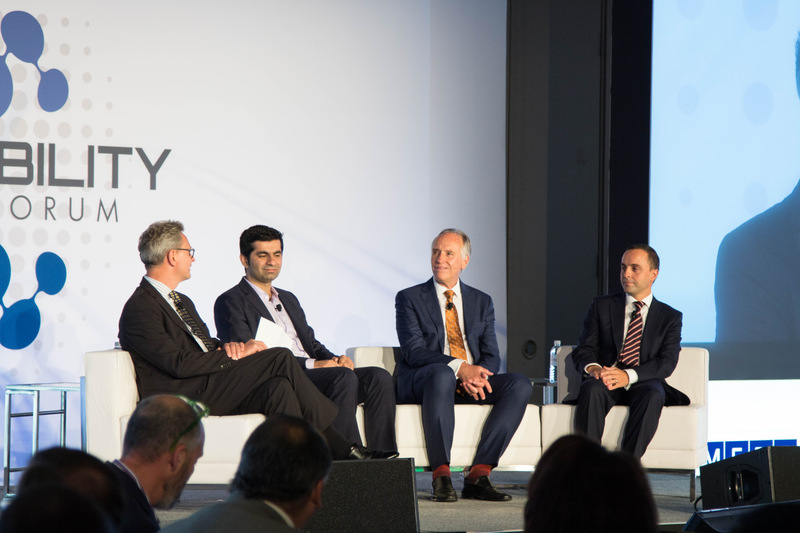 During the two-day Forum, more than 300 automotive, mobility, technology and government leaders from 12 countries gathered in Detroit to discuss the ways mobility can help solve some of the most pressing global challenges. 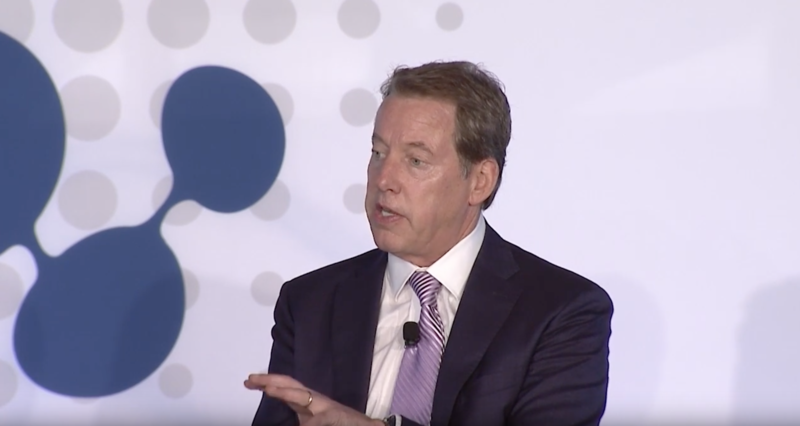 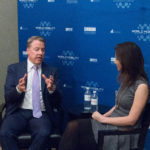 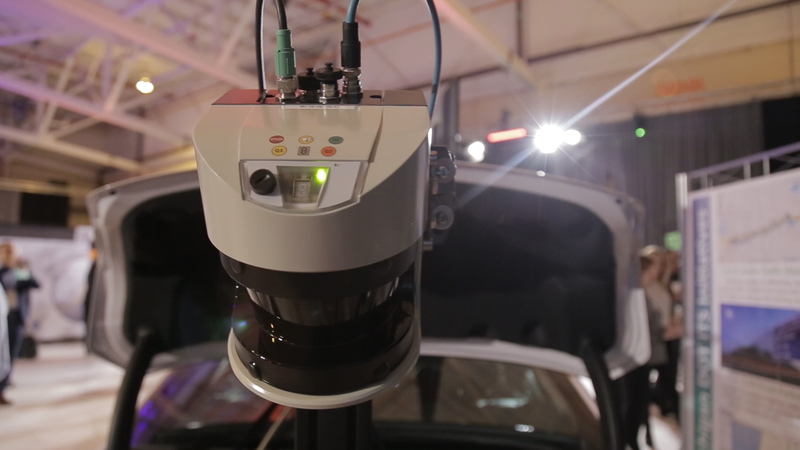 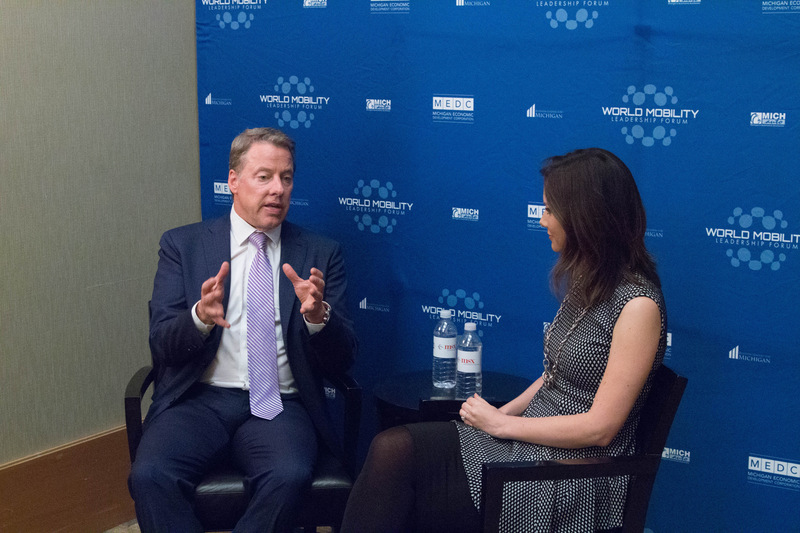 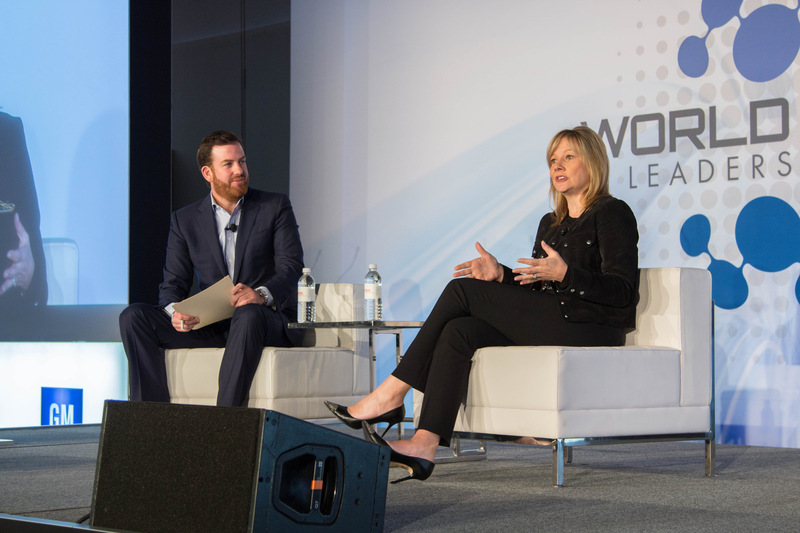 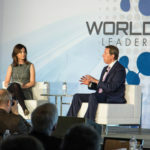 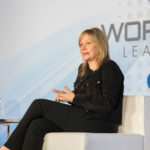 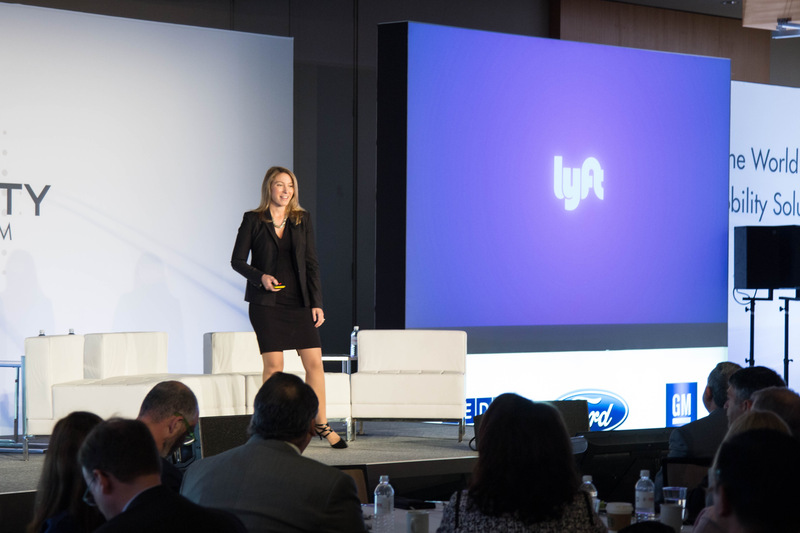 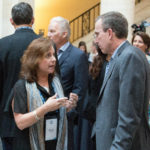 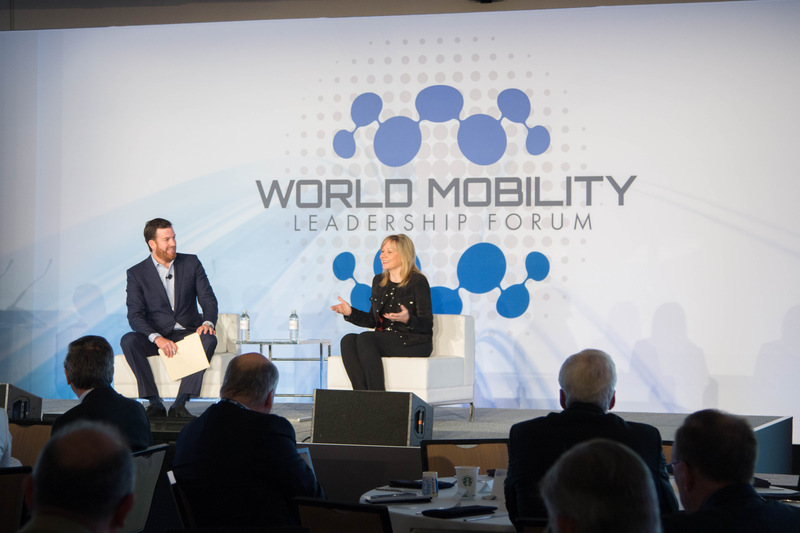 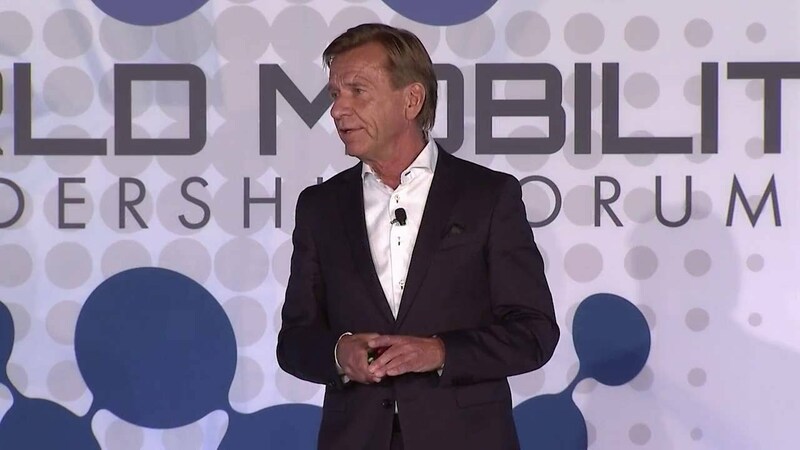 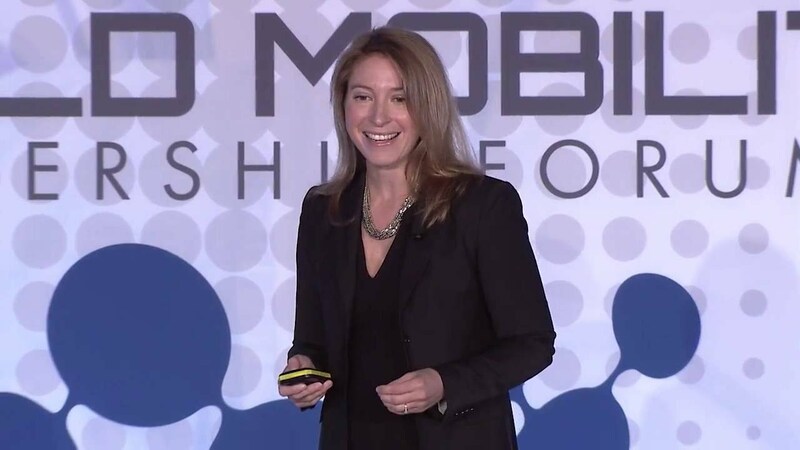 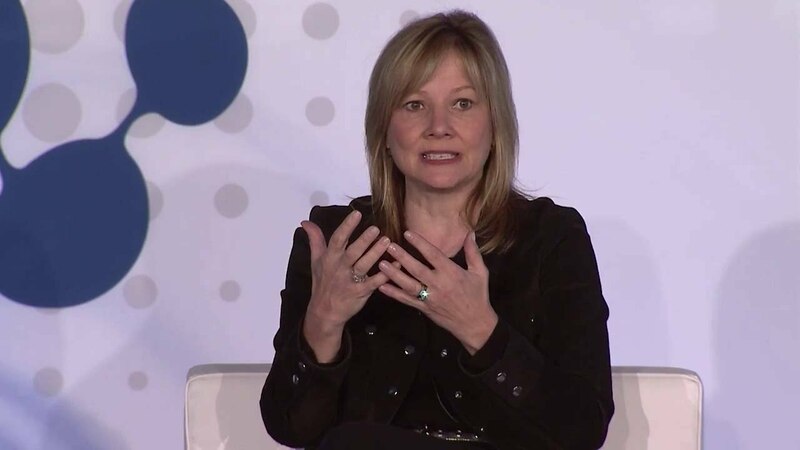 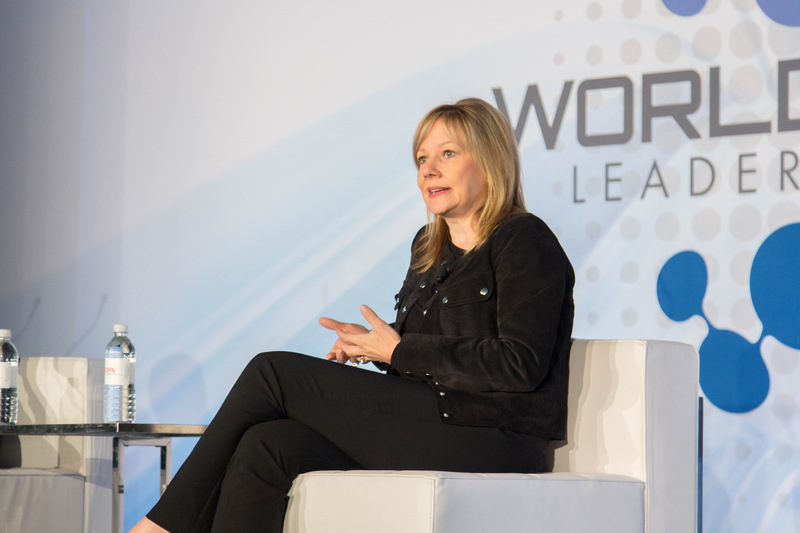 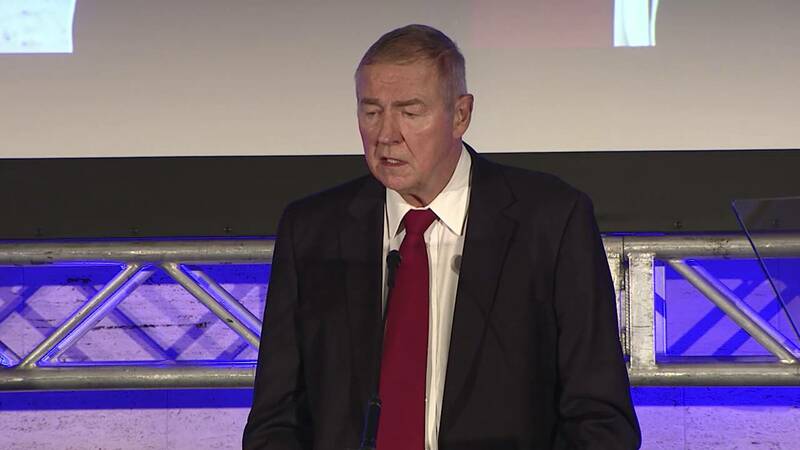 Nearly 30 experts and thought leaders took the stage to provide their perspectives on the future of mobility, including Ford Motor Company’s Bill Ford and General Motors Company’s Mary Barra. 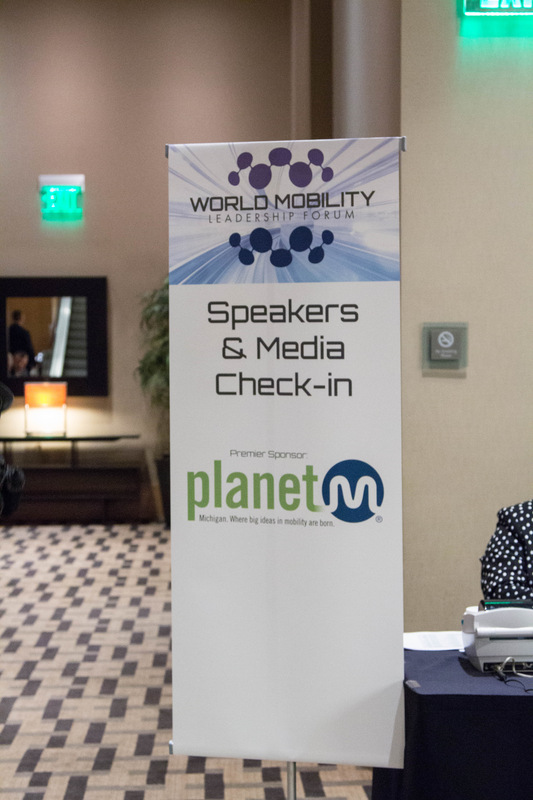 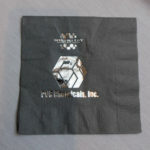 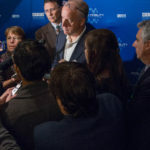 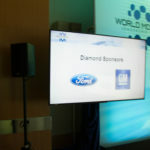 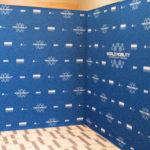 The Forum garnered worldwide media coverage from outlets such as Automotive News, Bloomberg, Forbes, USA Today and Yahoo Finance. 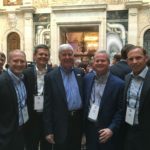 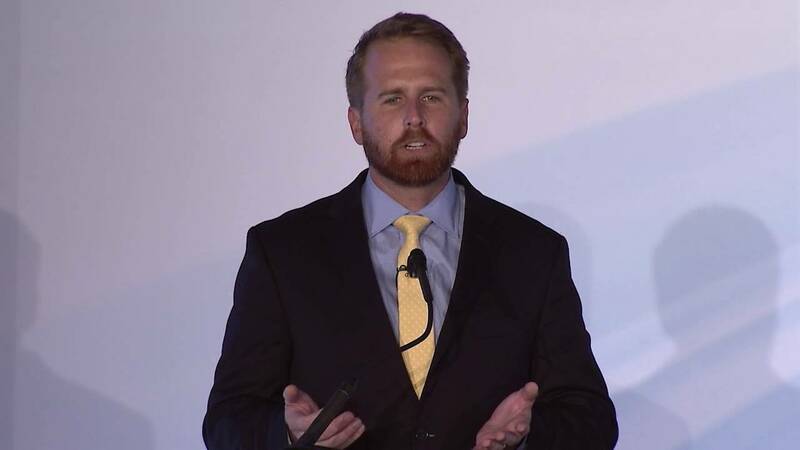 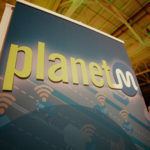 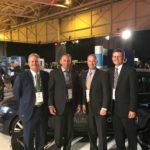 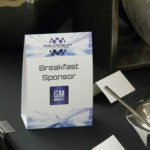 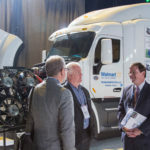 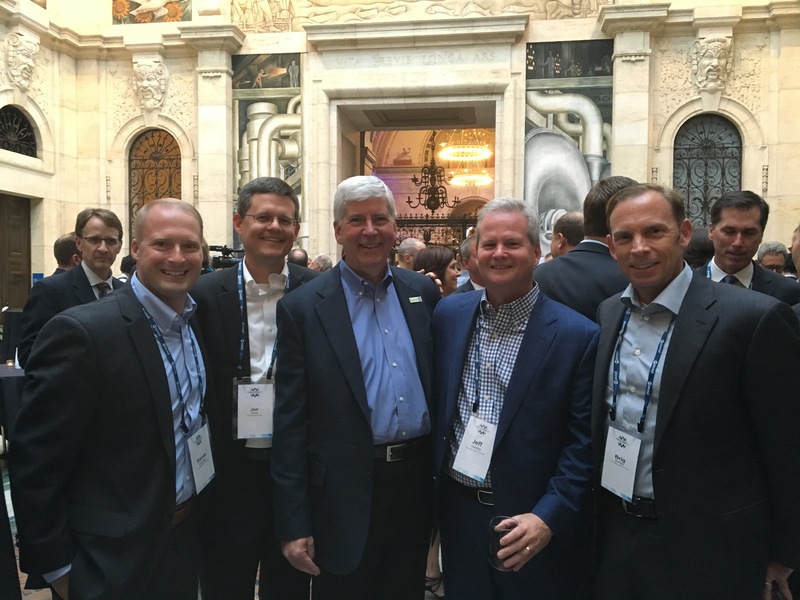 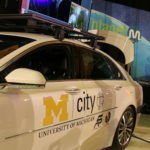 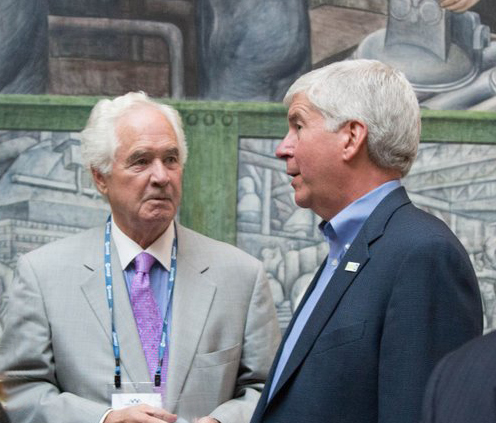 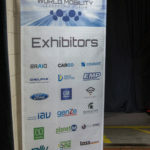 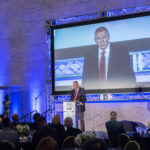 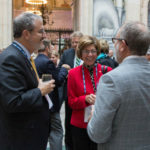 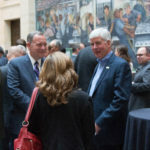 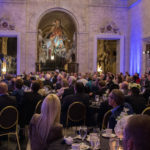 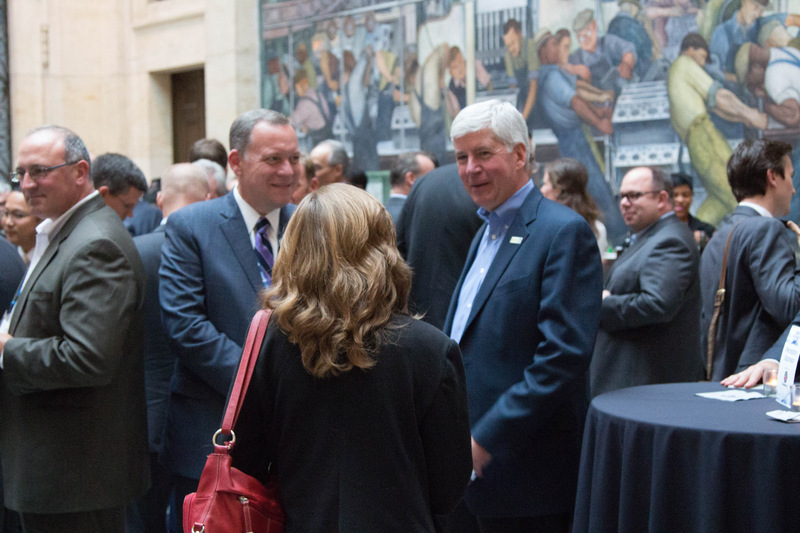 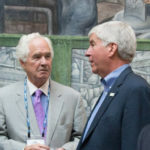 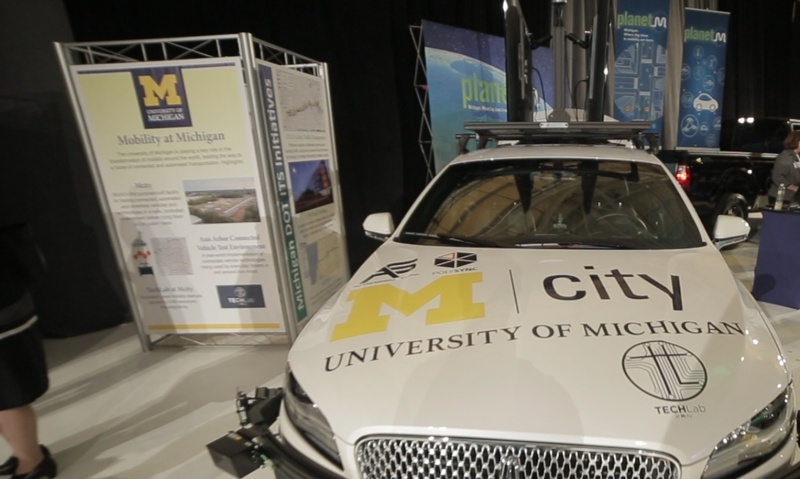 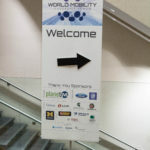 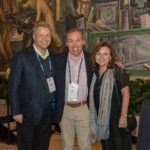 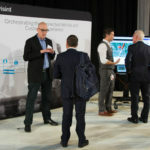 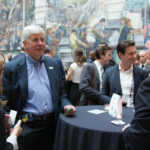 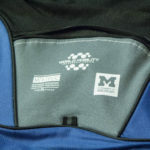 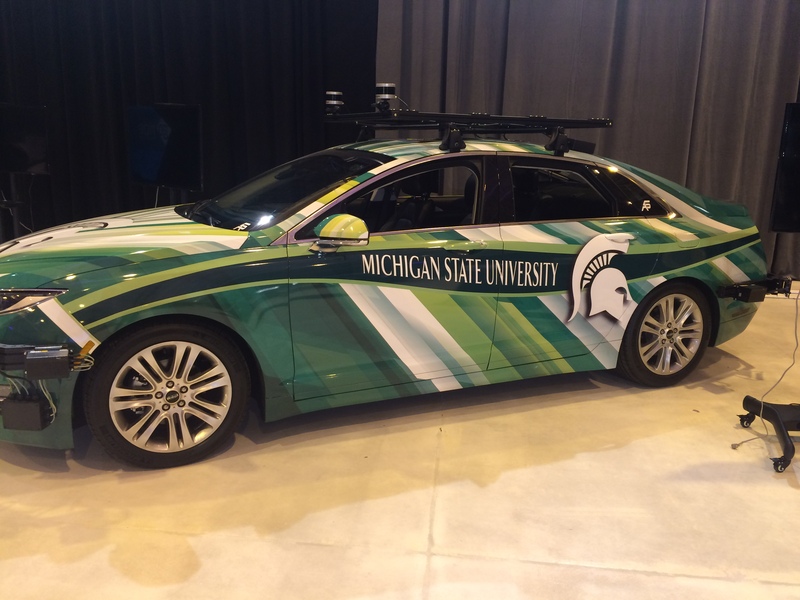 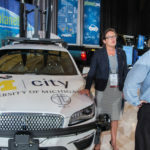 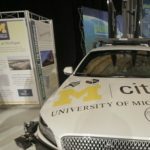 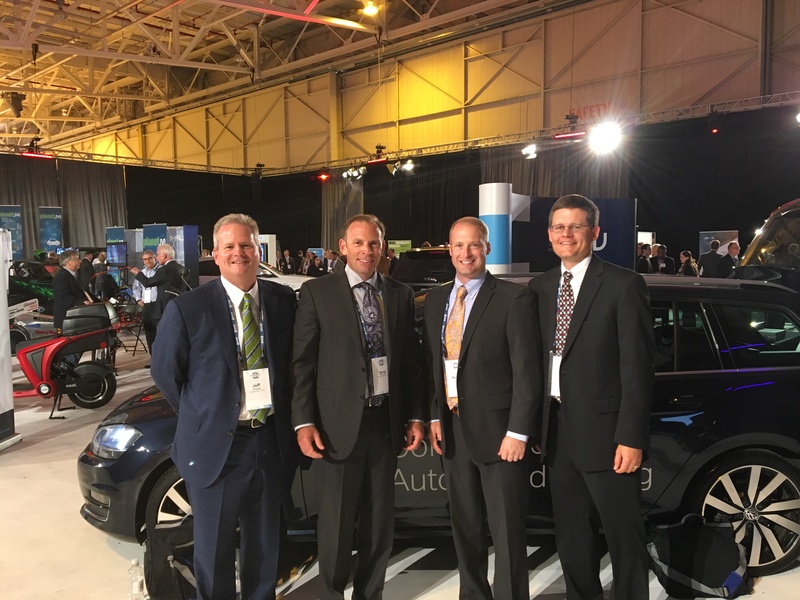 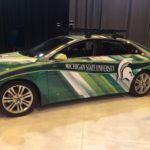 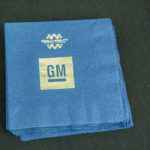 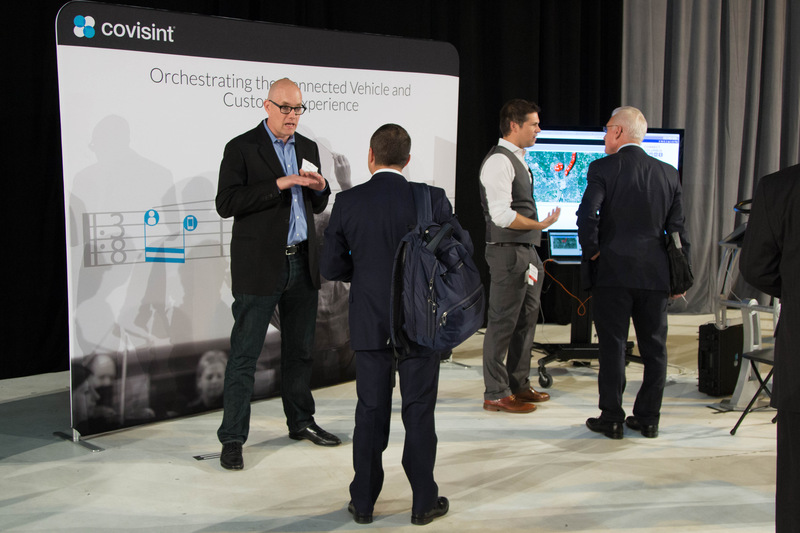 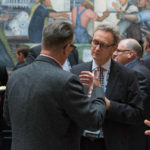 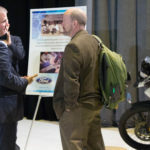 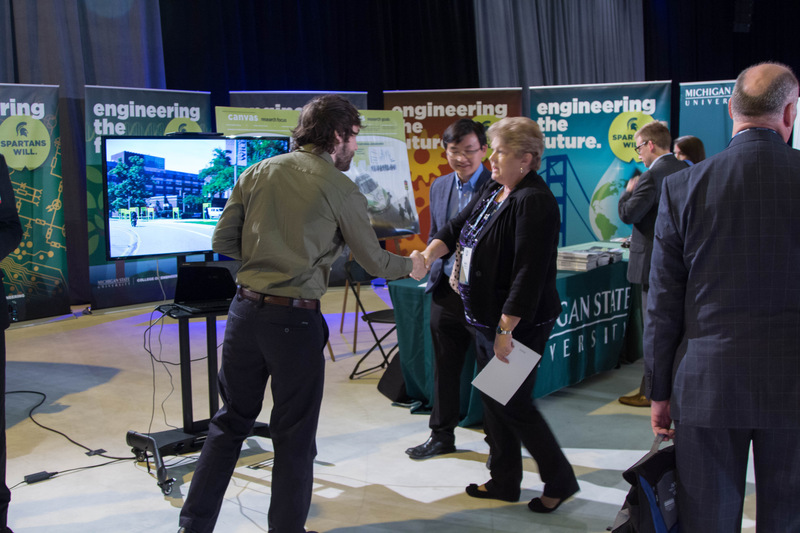 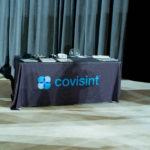 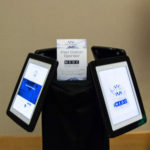 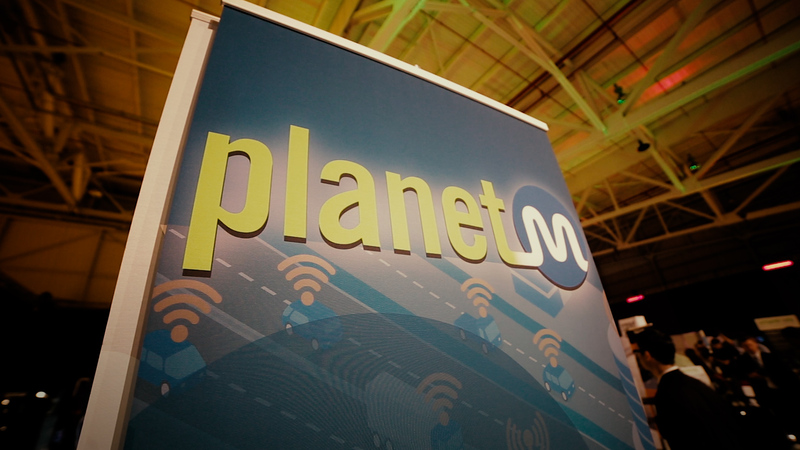 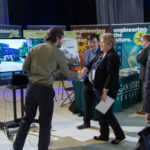 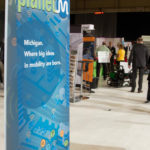 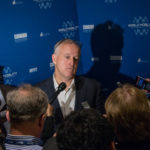 And best of all, the Forum reinforced Michigan’s leadership role in the next mobility revolution as the automotive and technology industries converge. 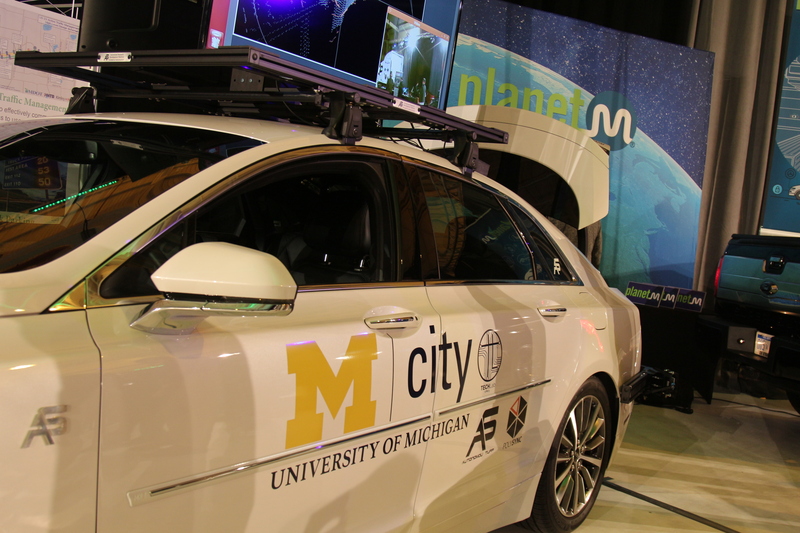 It’s a city unlike any other. 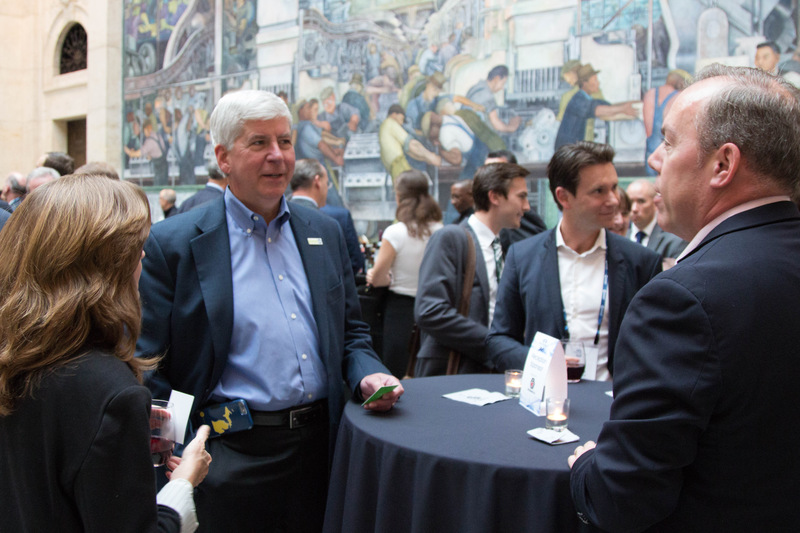 Detroit is history in motion. 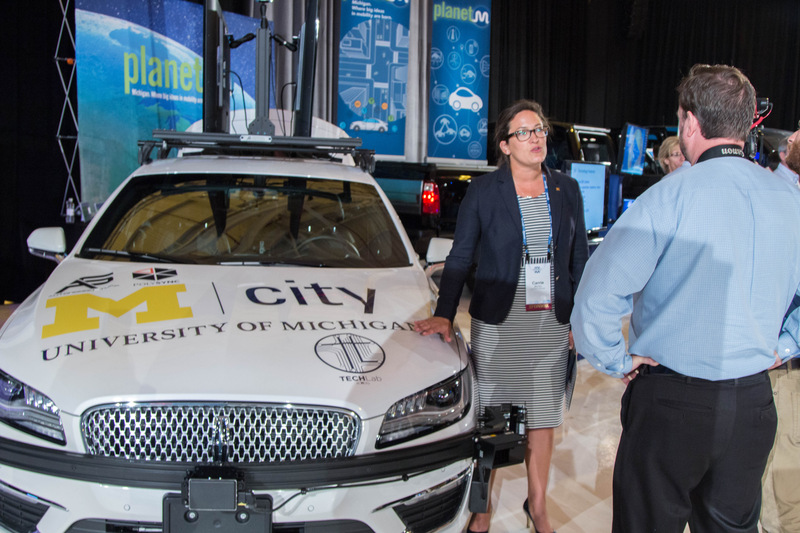 Not only did Detroit put the world on wheels, but it is leveraging its rich tradition of innovation toward a vibrant, high-tech future. 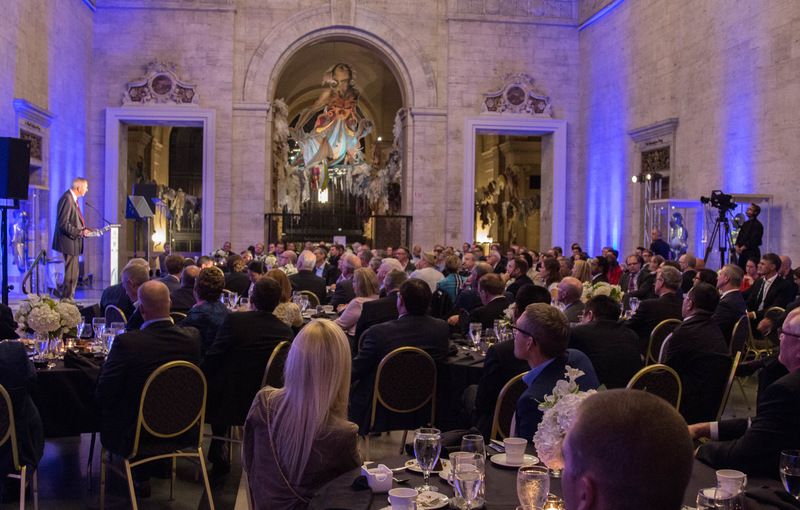 Come see America’s comeback city in action! 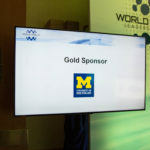 World-class entertainment venues. 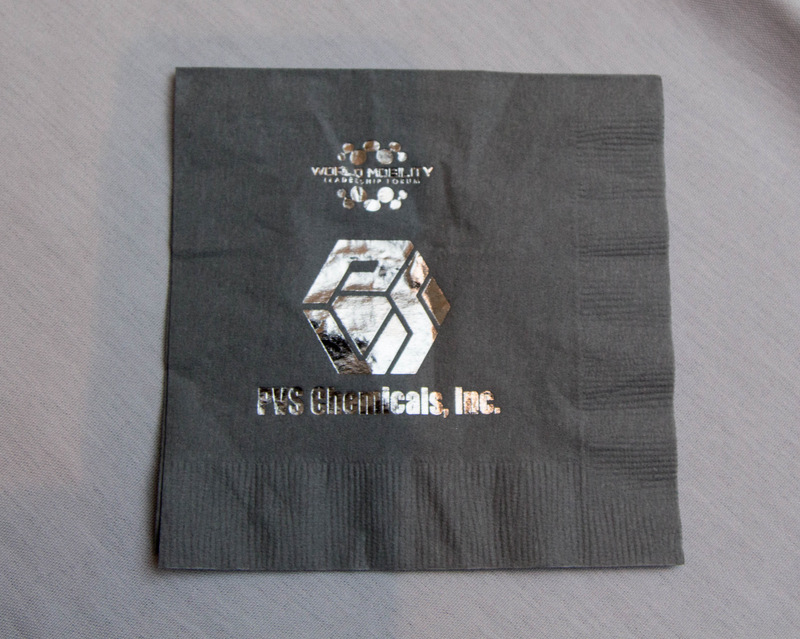 Fine cuisine. 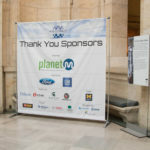 A rich cultural heritage of museums, music, sports and more. 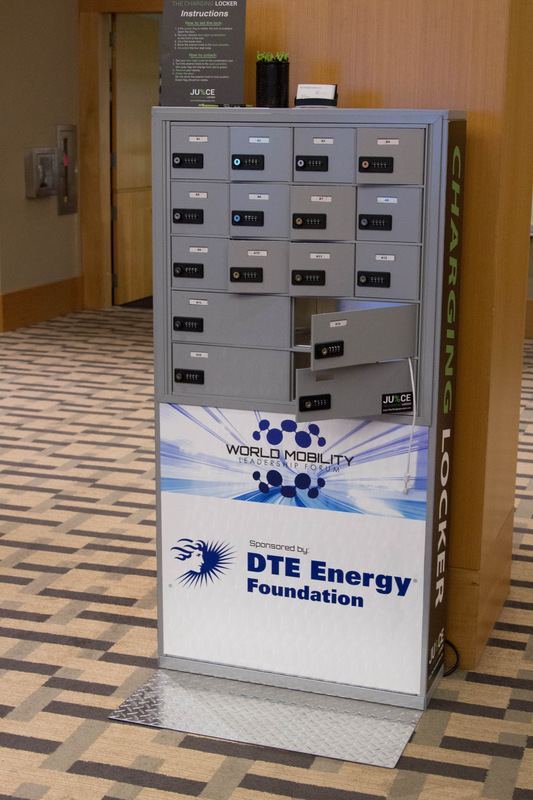 Easily accessible and endlessly inspiring. 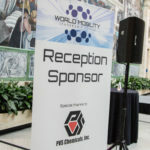 You won’t want to miss it. 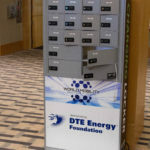 Learn more at visitdetroit.com. 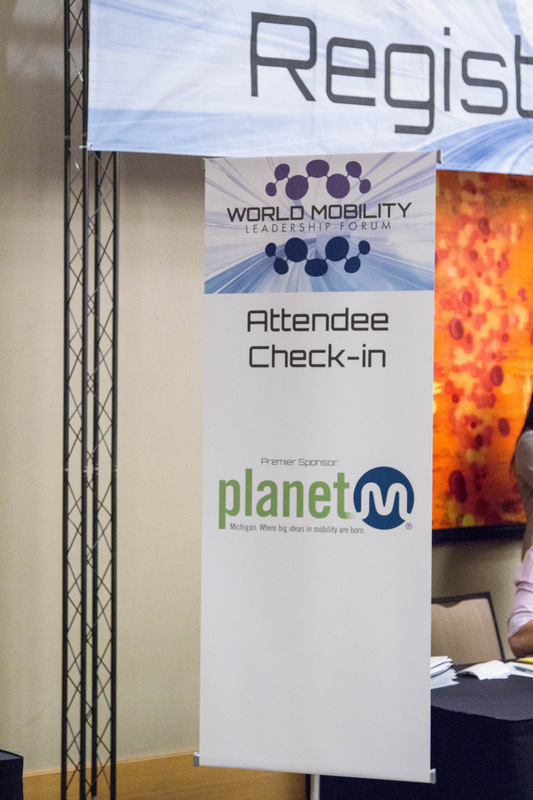 Interested in extending your stay? 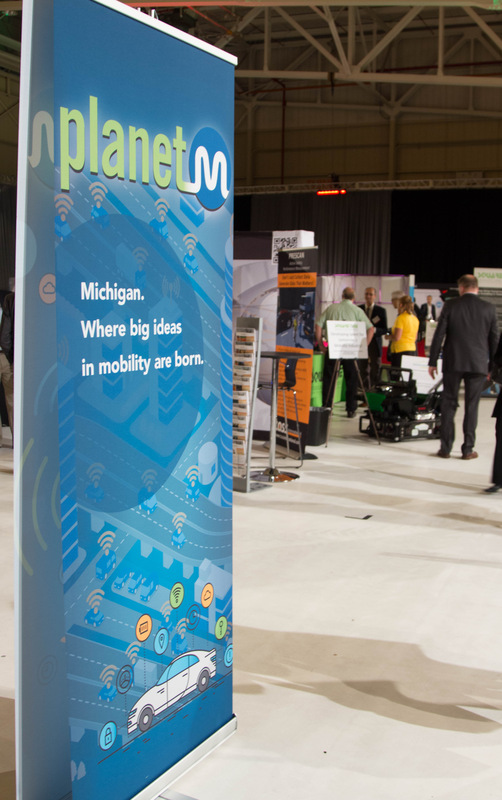 There’s tons to do and see, and getting around is easy. 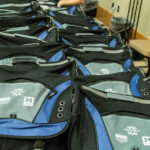 Get a free travel guide and planning tips! 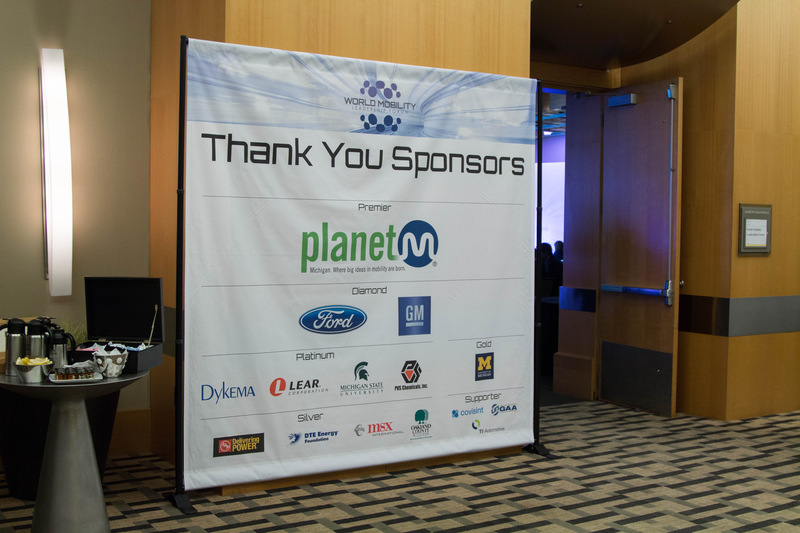 The Forum will be held at The Westin, in the Detroit Metropolitan Airport. 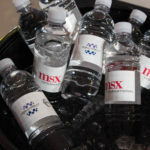 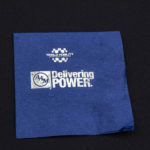 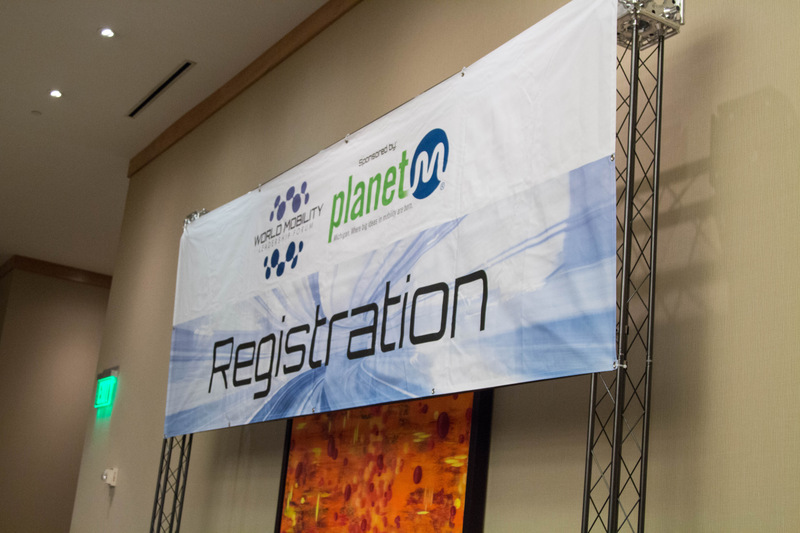 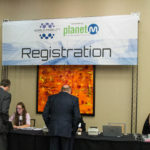 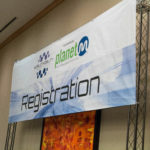 Once registered, you will receive a confirmation package with a code granting you access to a reserved block of rooms. 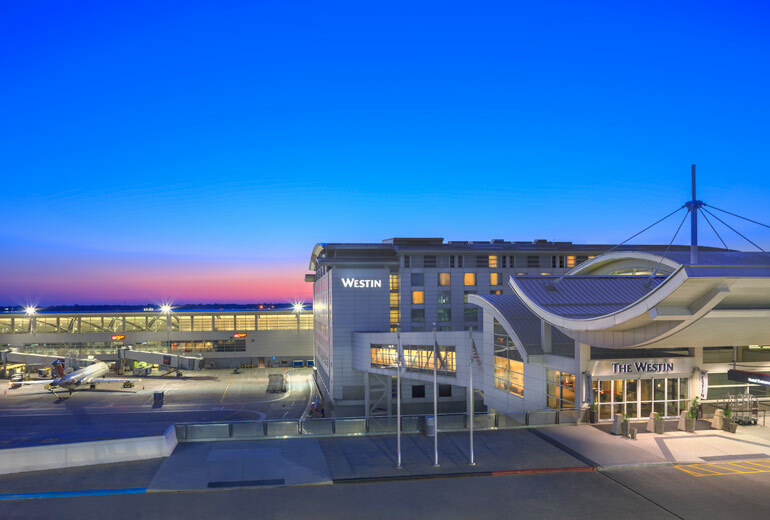 Located in the McNamara Terminal, The Westin is the only hotel inside Detroit Metropolitan Airport. 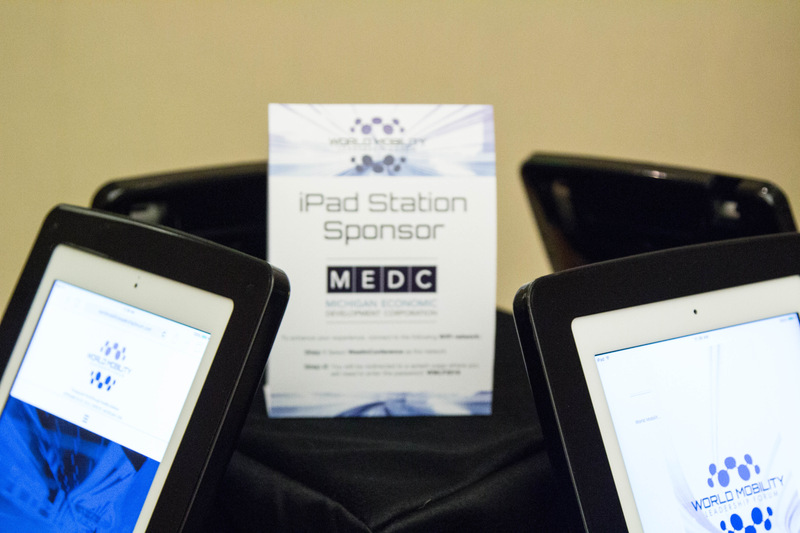 The following airlines are located in the McNamara Terminal: Delta, KLM and Air France. 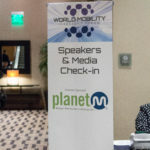 If you fly into another terminal at the airport, there are shuttles that you can take to The Westin. 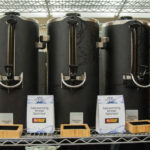 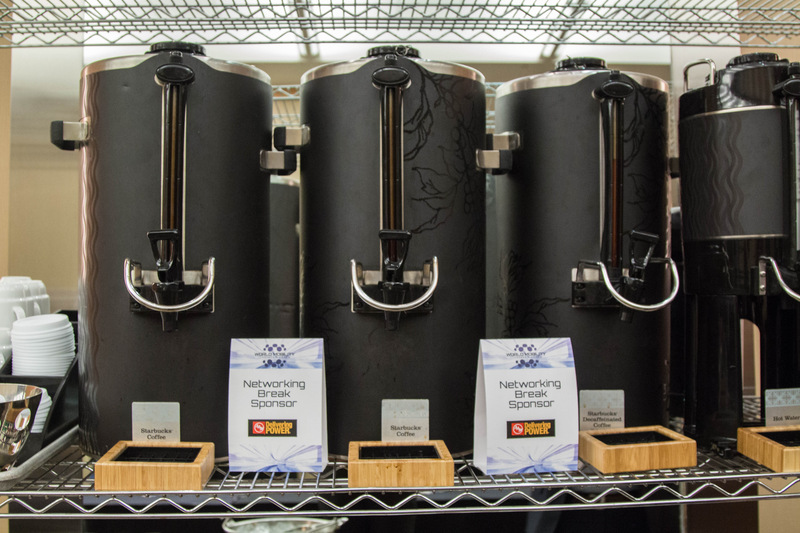 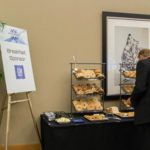 As a registered overnight guest at the hotel, you can access the shops and restaurants in the McNamara Terminal and take advantage of full-service hotel features. 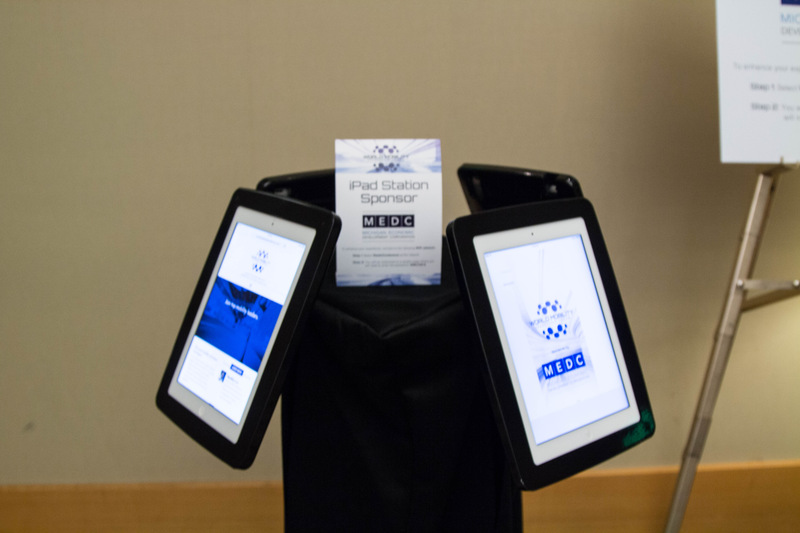 Click here to learn more about The Westin. 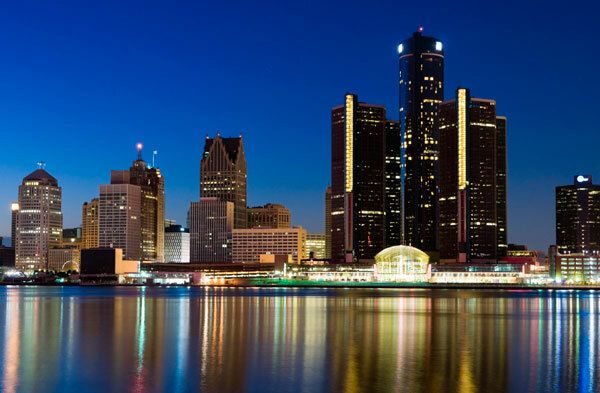 All roads and flights lead to the Motor City. 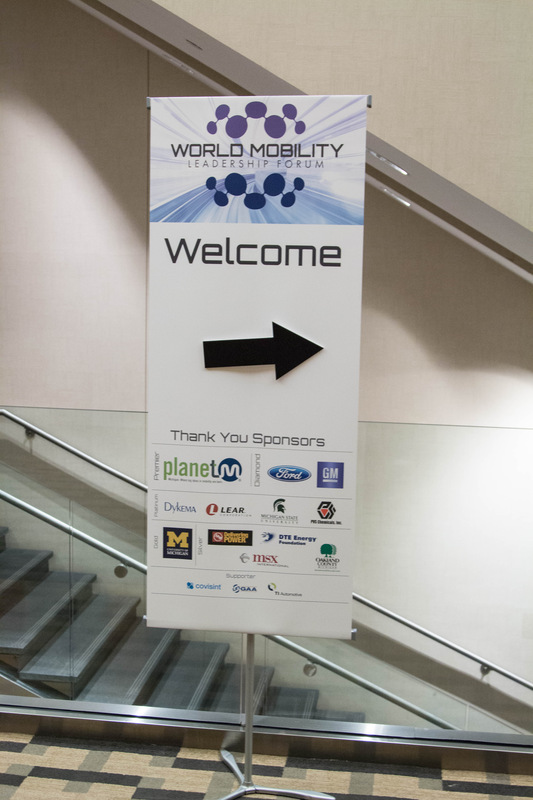 Click here to access driving directions to The Westin. 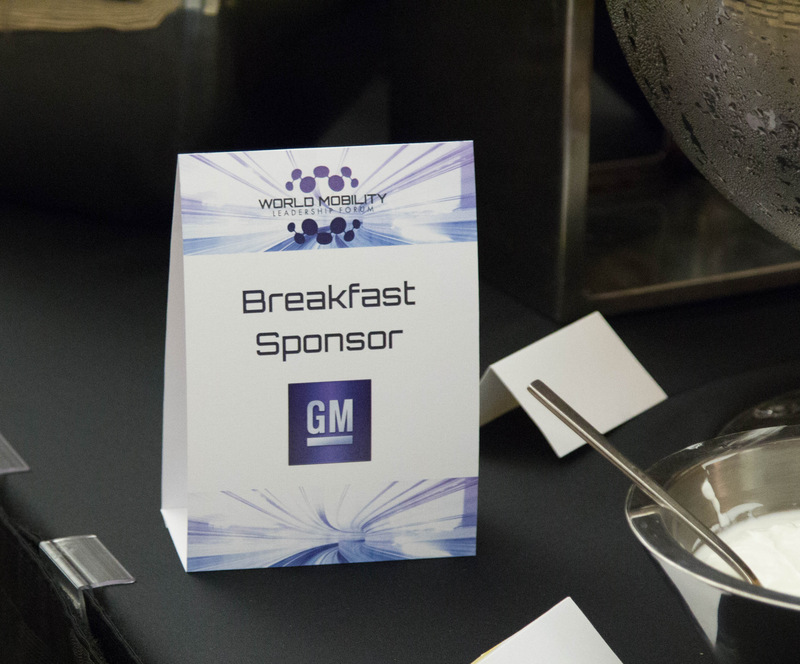 When you get to The Westin, long-term self-parking and valet parking is available.